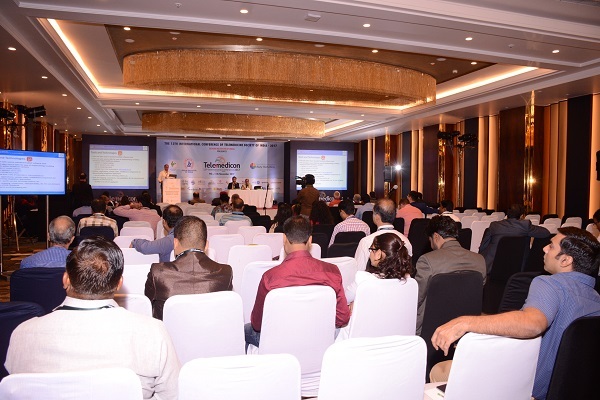 HL7 International Working Group Meetings (WGMs) are held three times per year at varying locations to provide the HL7 International work groups the opportunity to meet in person and work on standards, as well as to network with industry leaders from around the world. 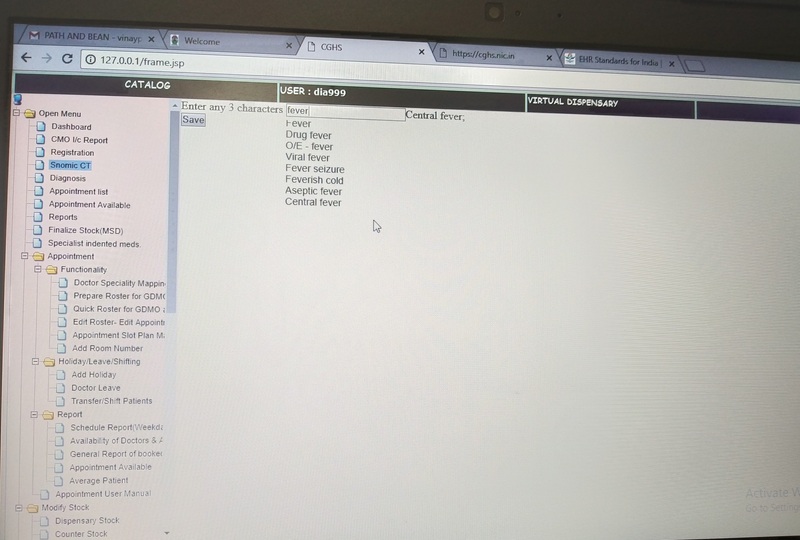 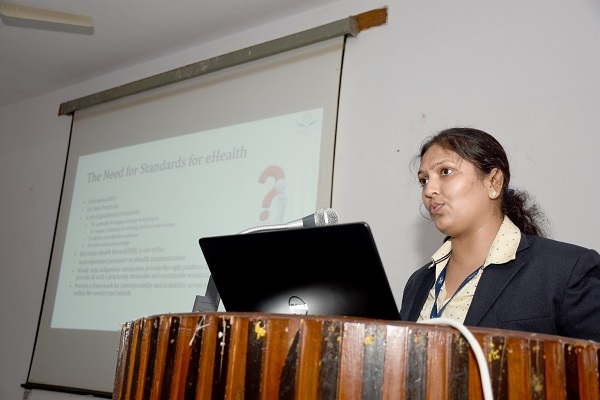 It Offers an invaluable educational resource for the healthcare IT community. 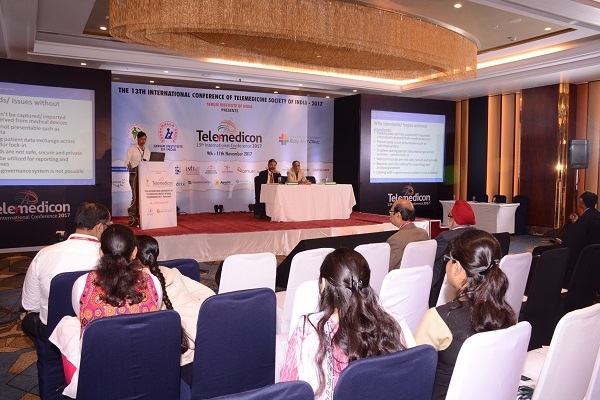 It is held on May 4-10, 2019 at Sheraton Le Centre, Montreal (Quebec), Canada. 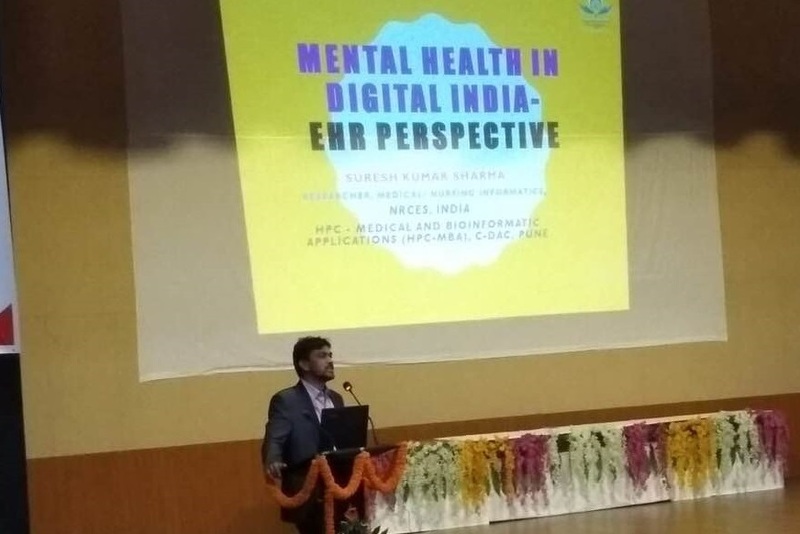 Online registration for this conference is available until the end of the day on Friday, April 19, 2019. 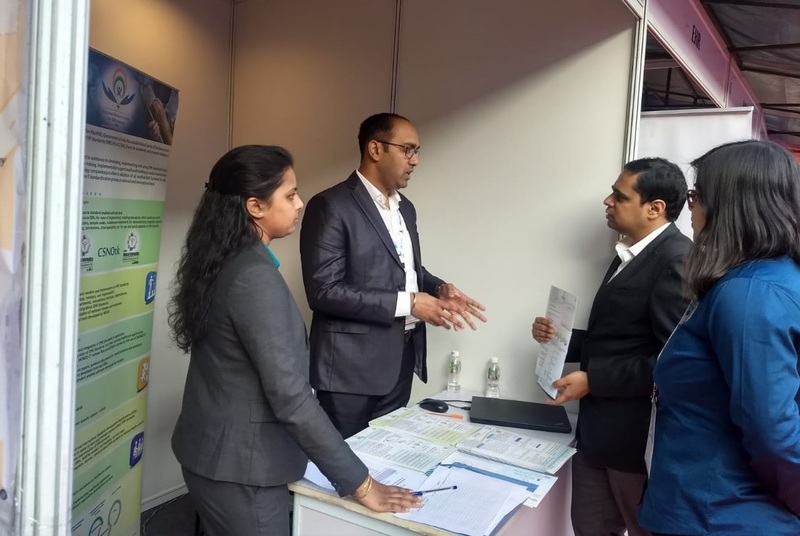 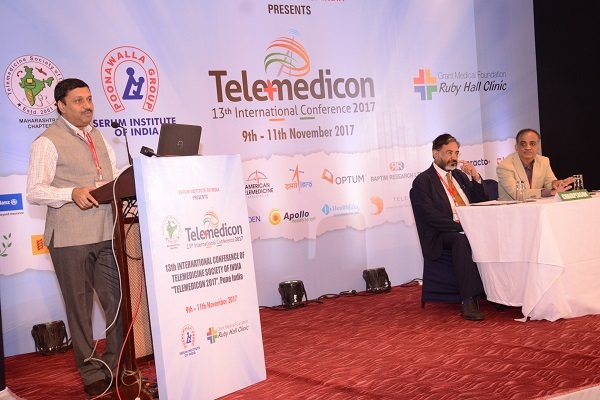 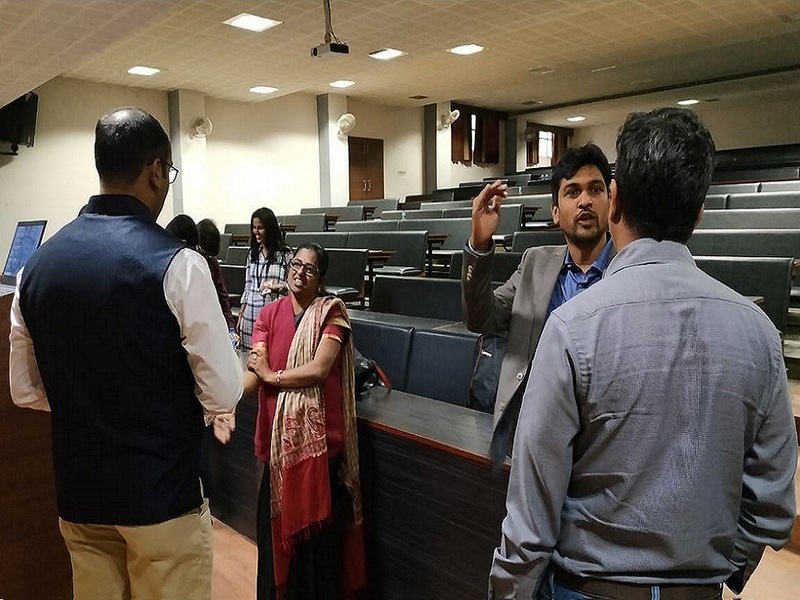 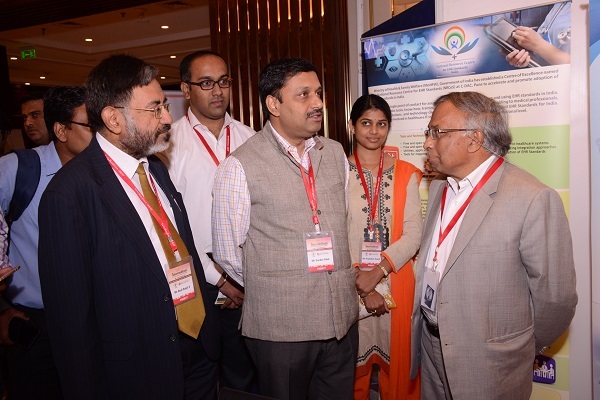 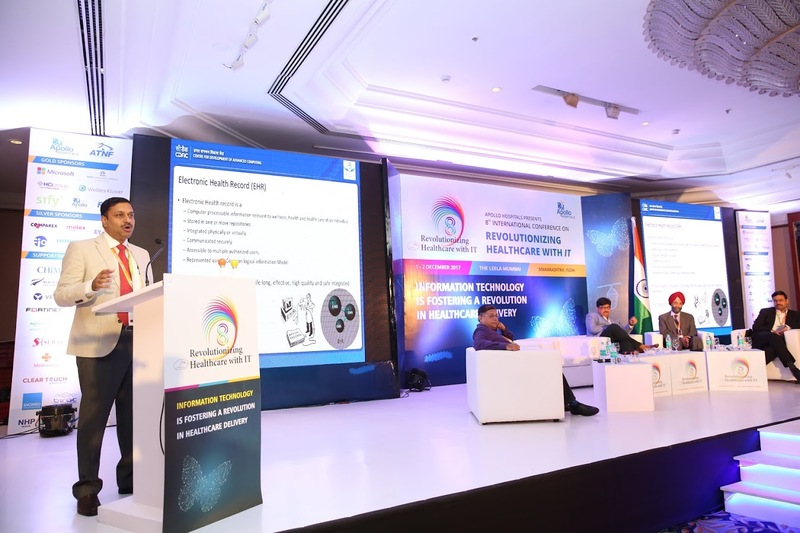 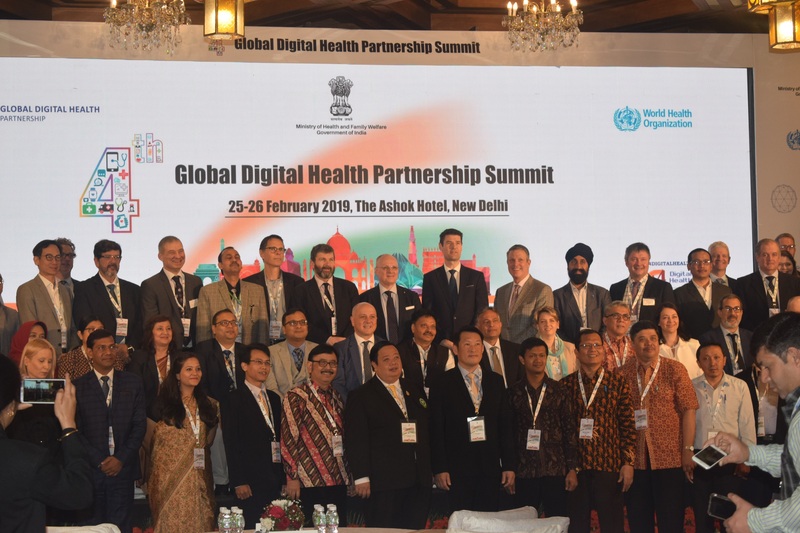 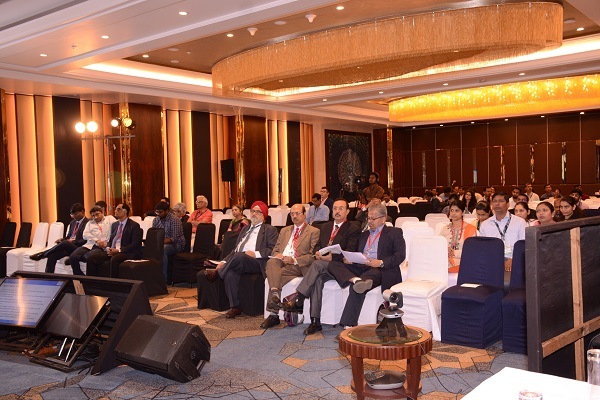 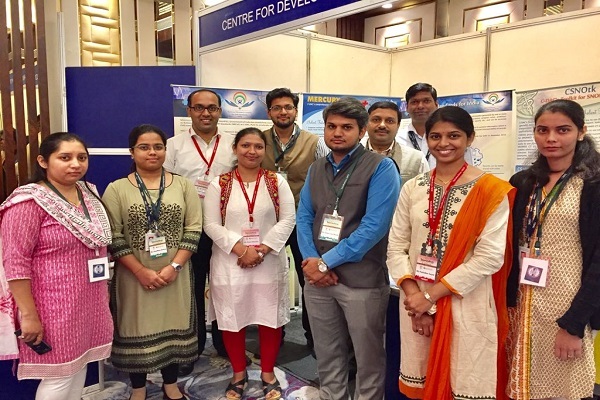 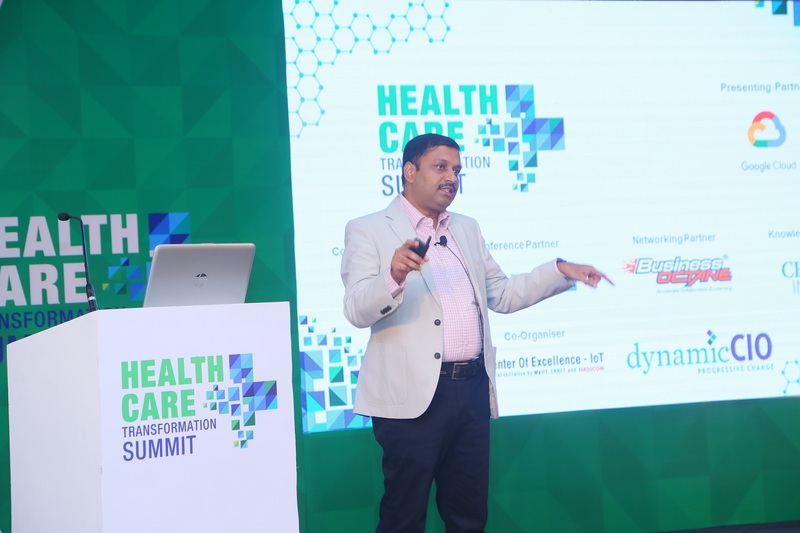 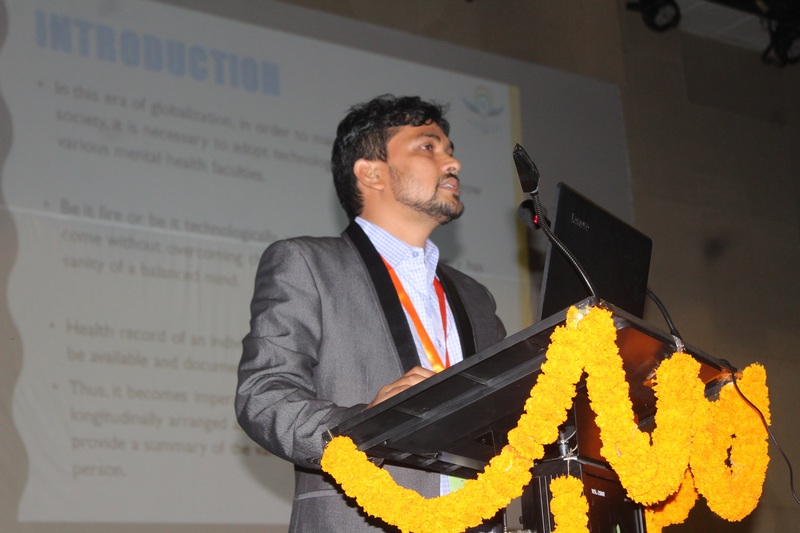 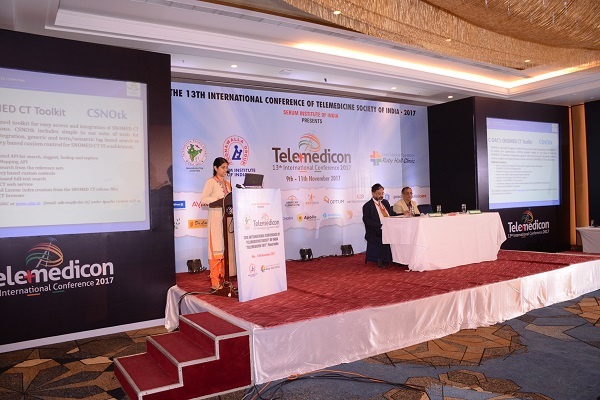 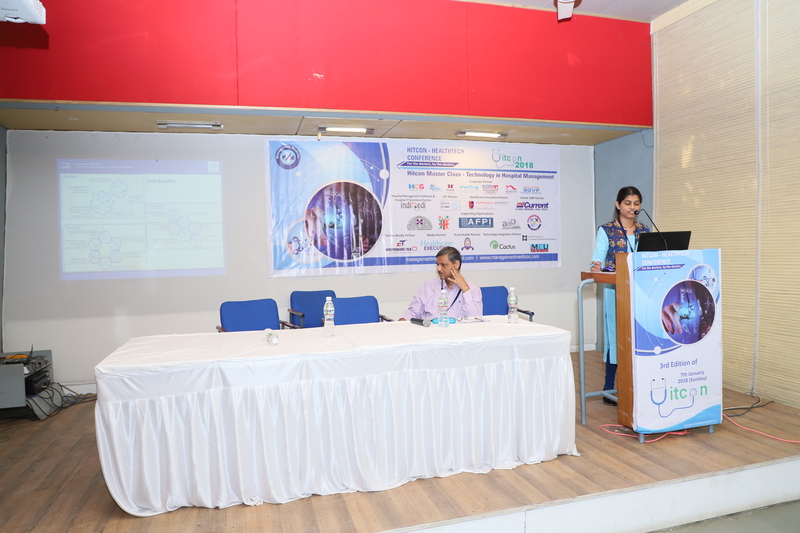 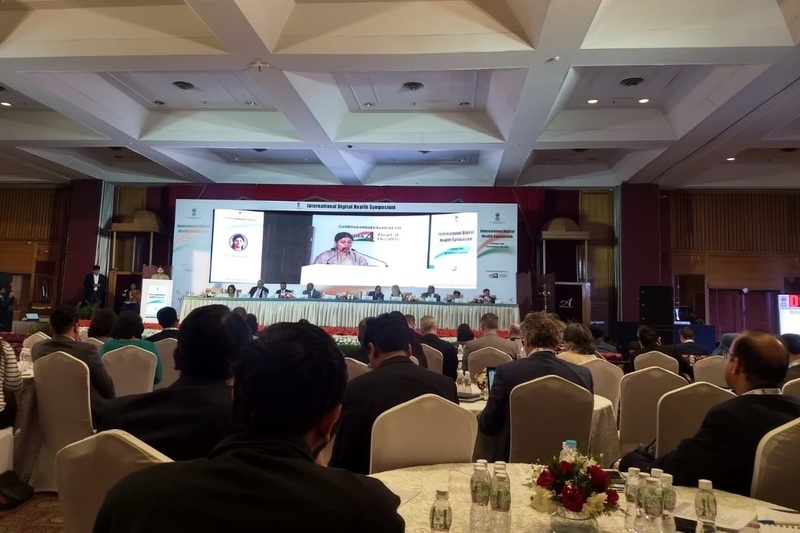 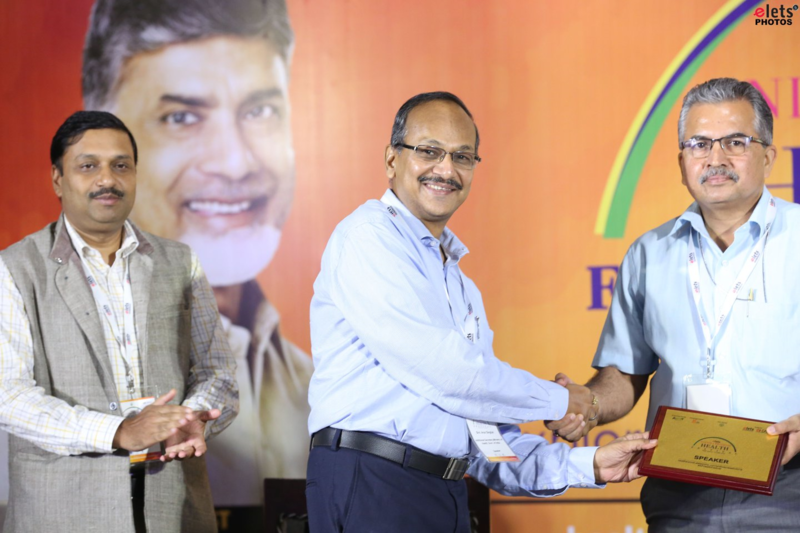 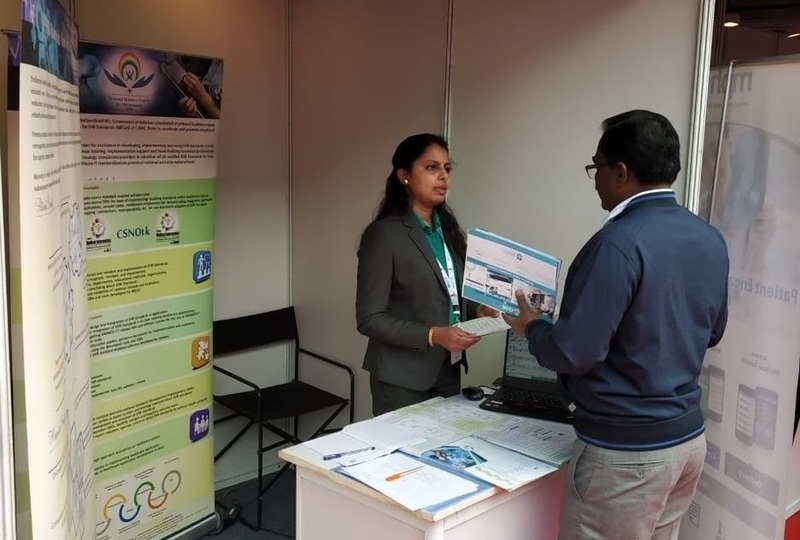 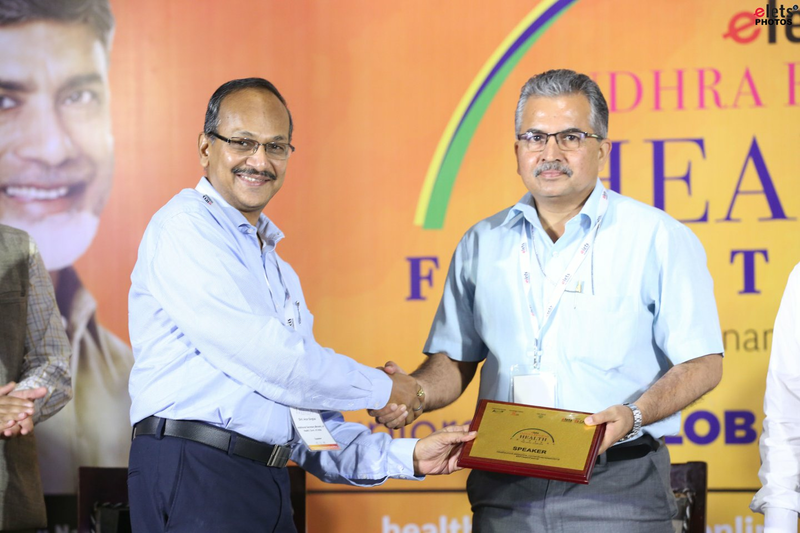 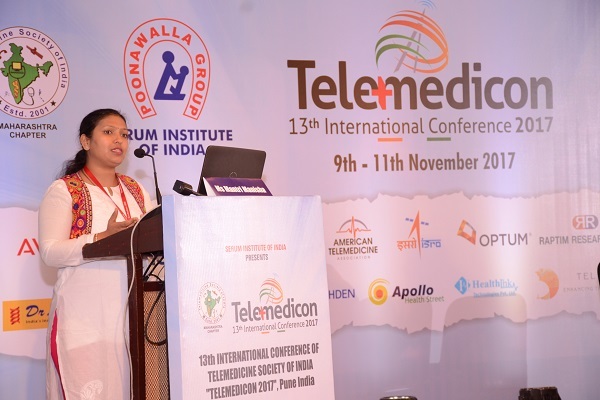 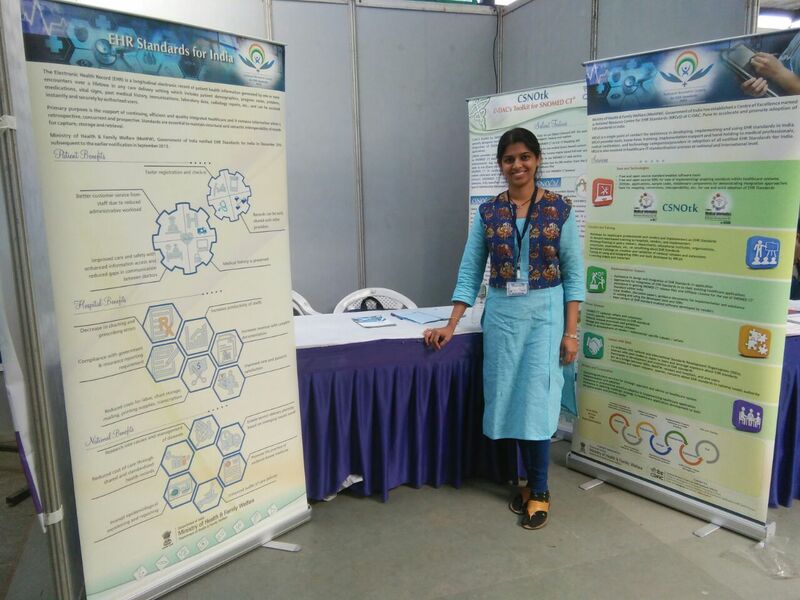 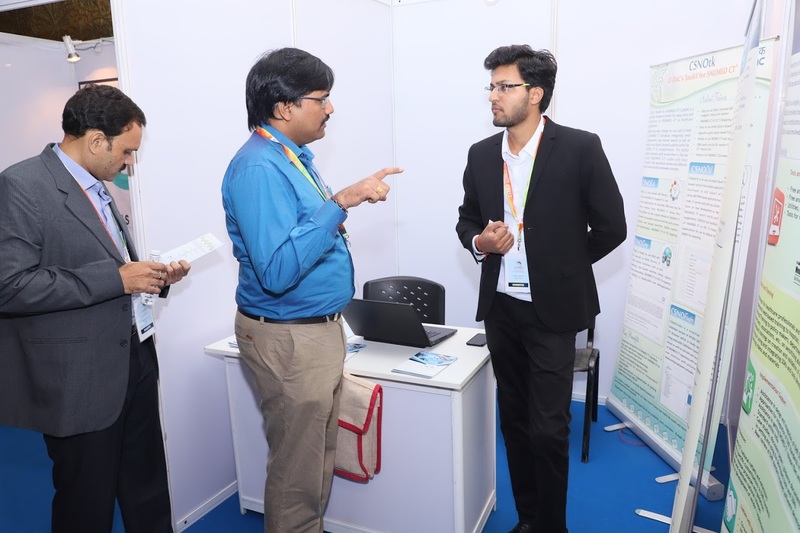 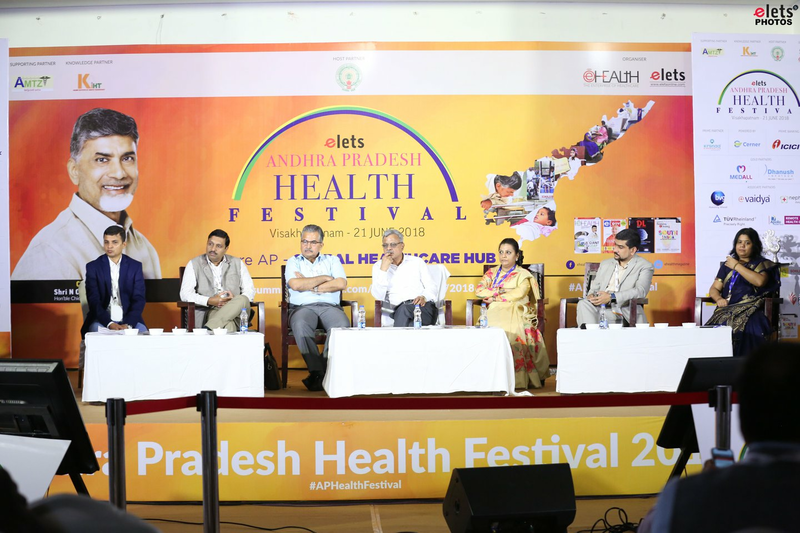 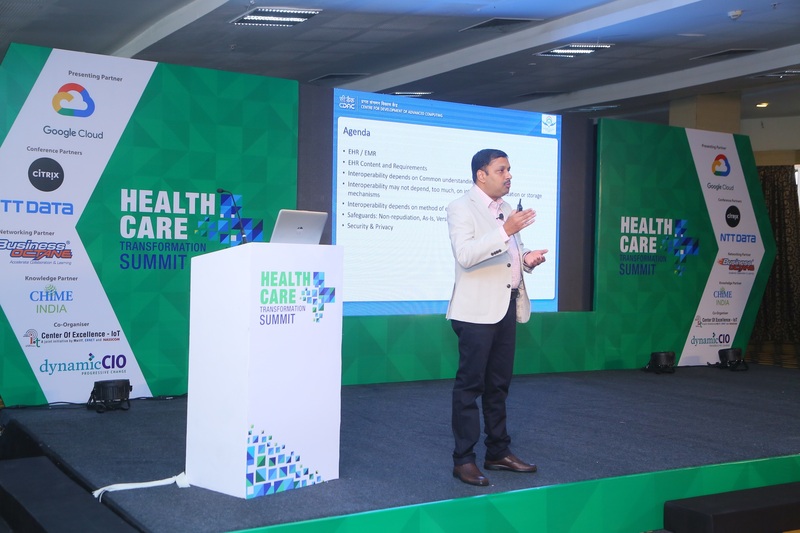 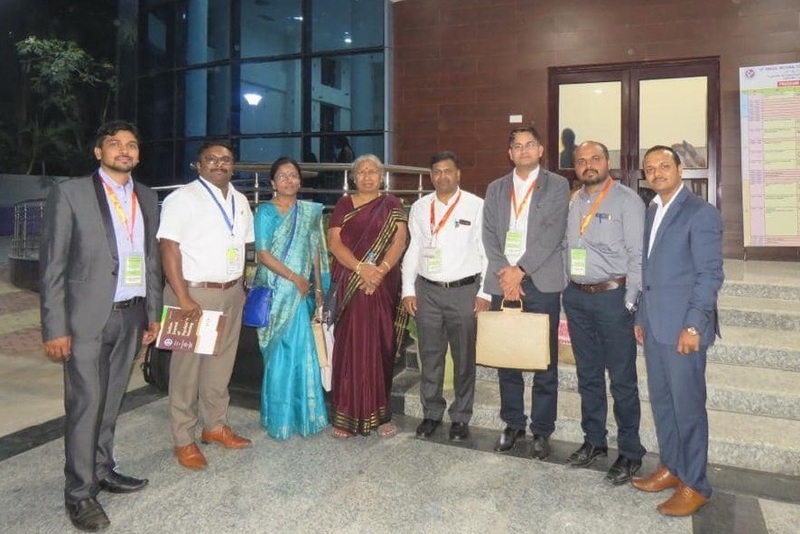 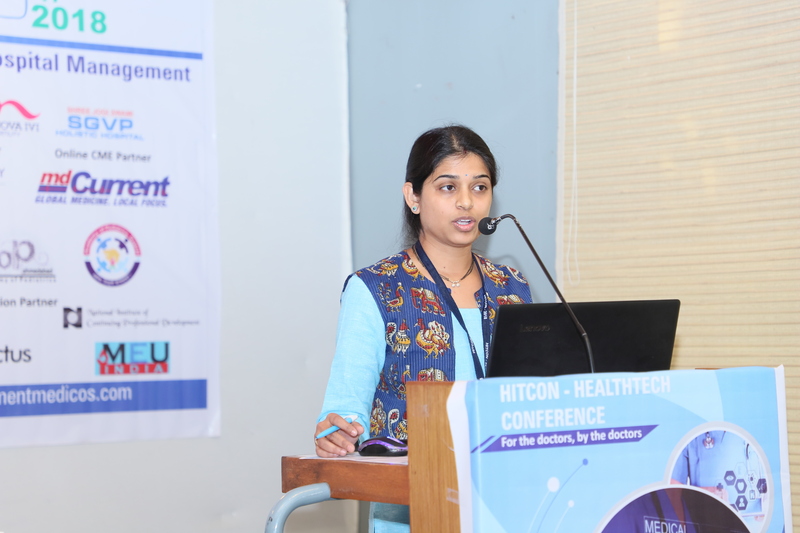 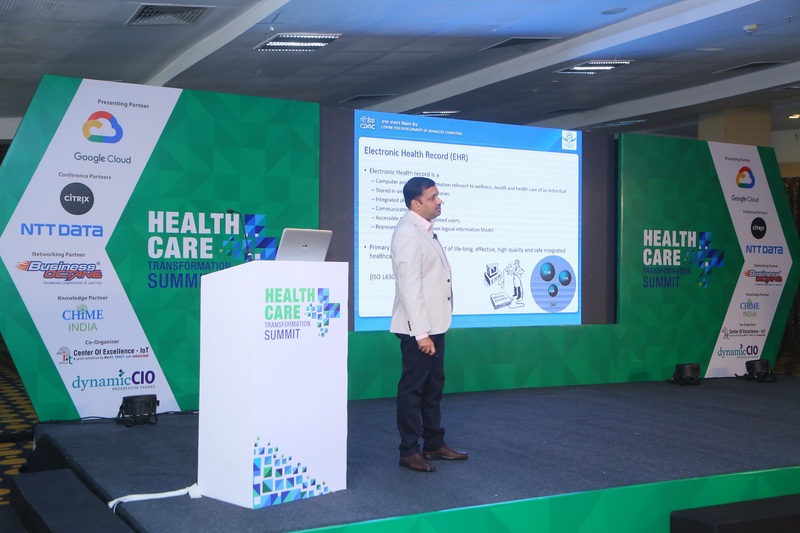 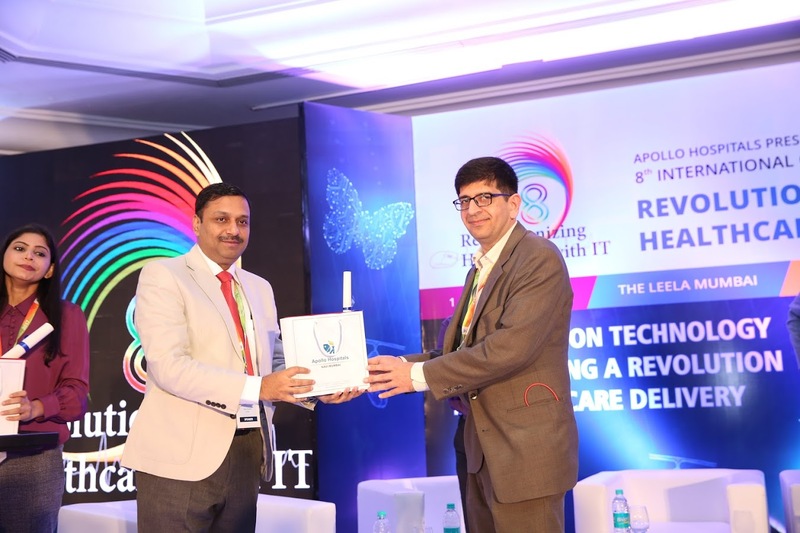 Talk on "Transforming Healthcare paradigm through Technology : Importance of e-Health and m-Health", Proceedings of Andhra Pradesh Health Festival, Visakhapatnam. 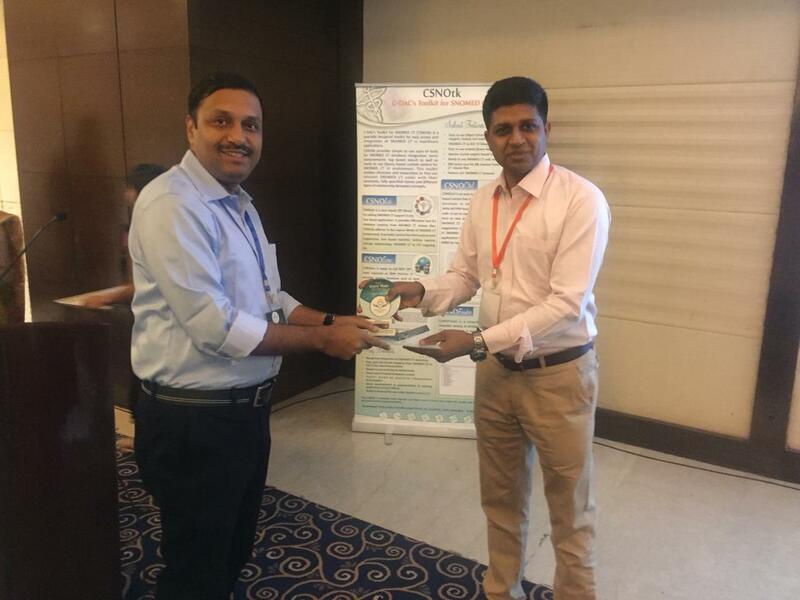 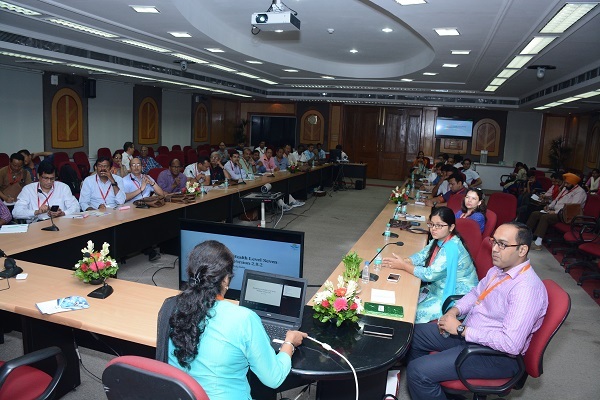 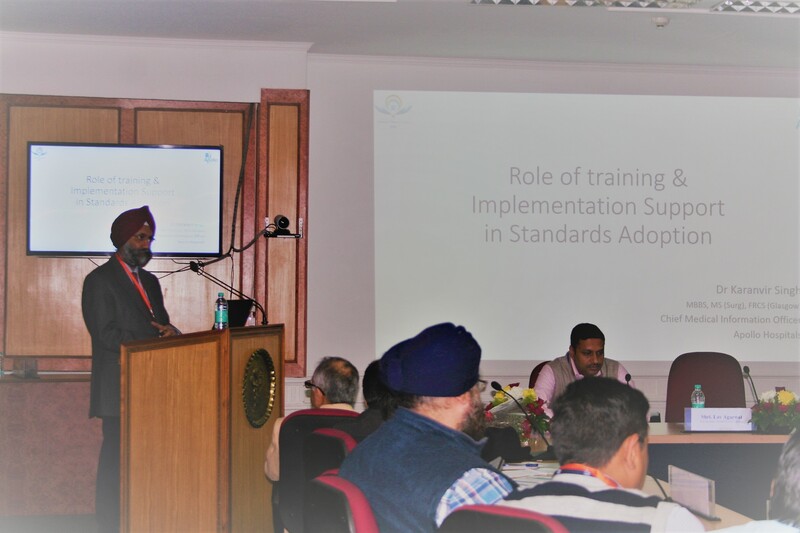 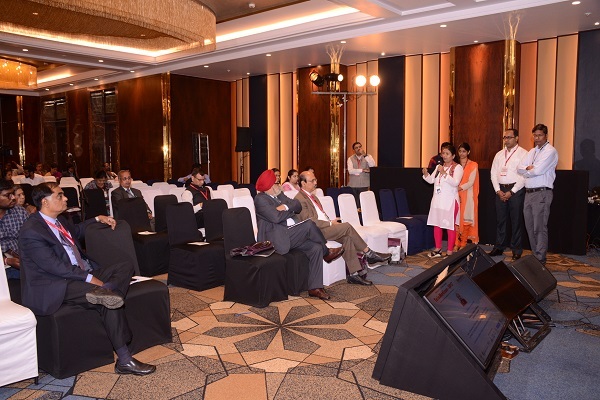 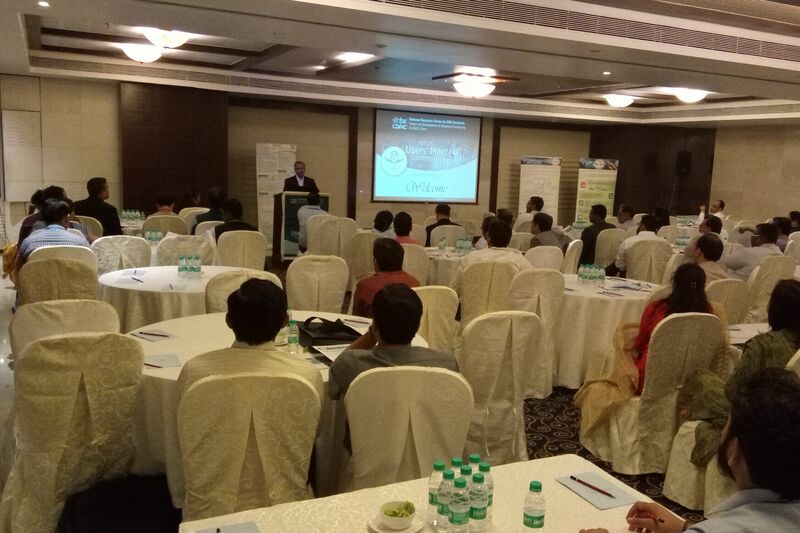 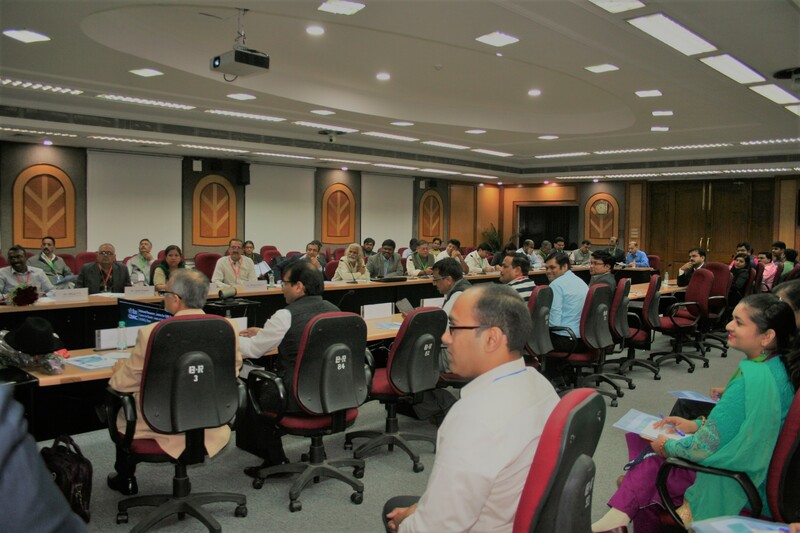 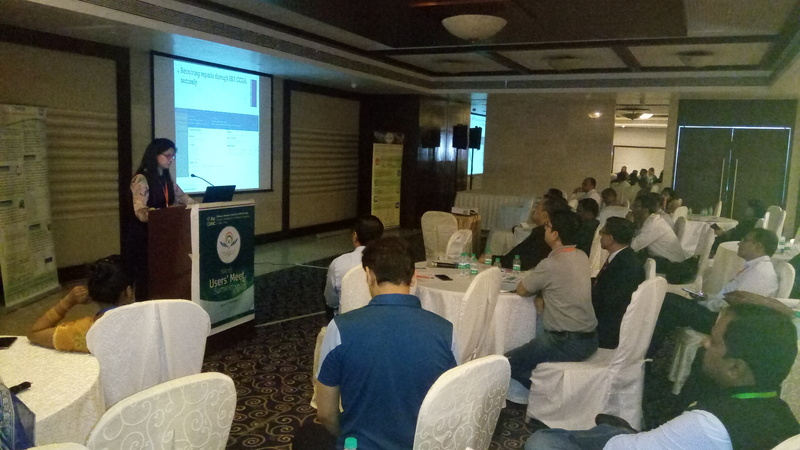 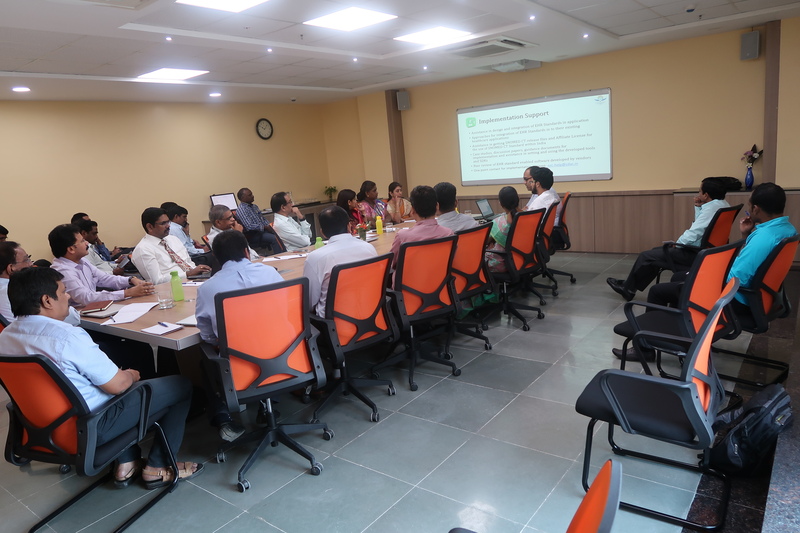 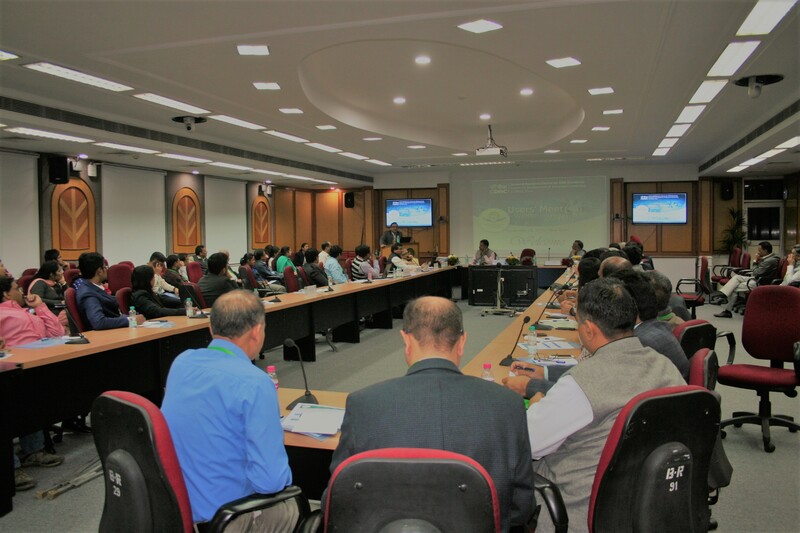 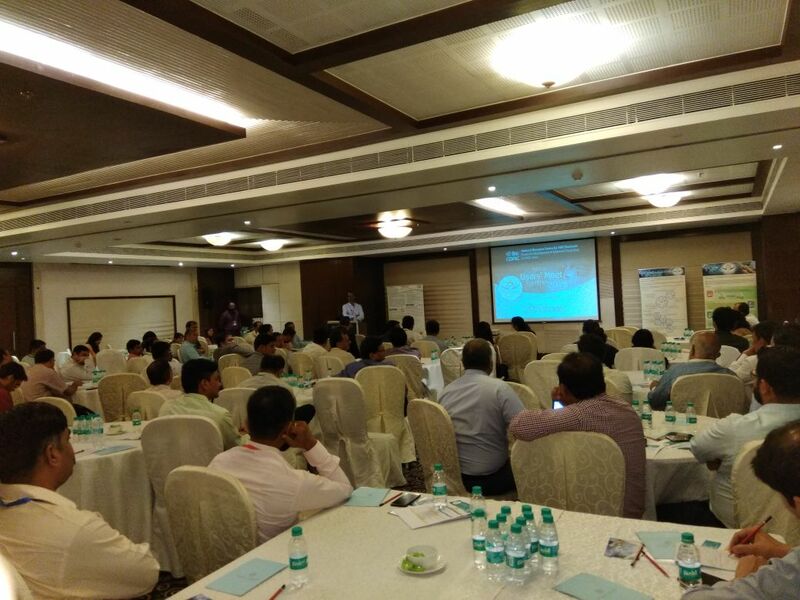 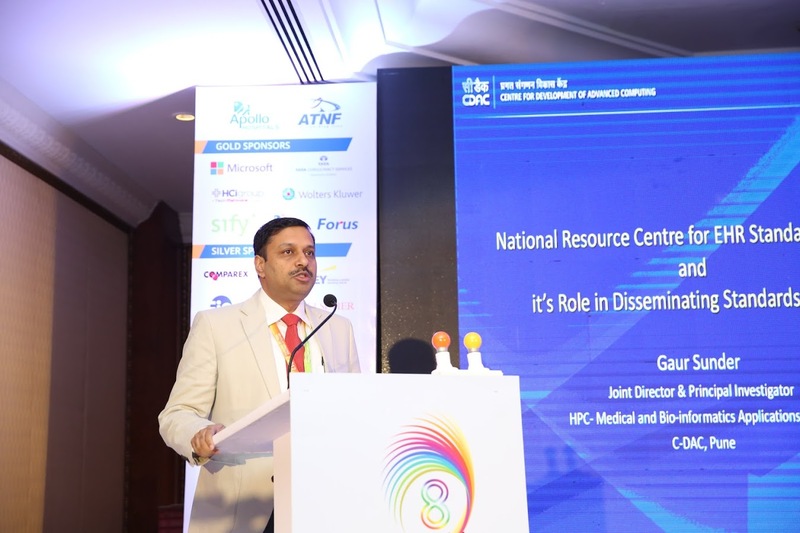 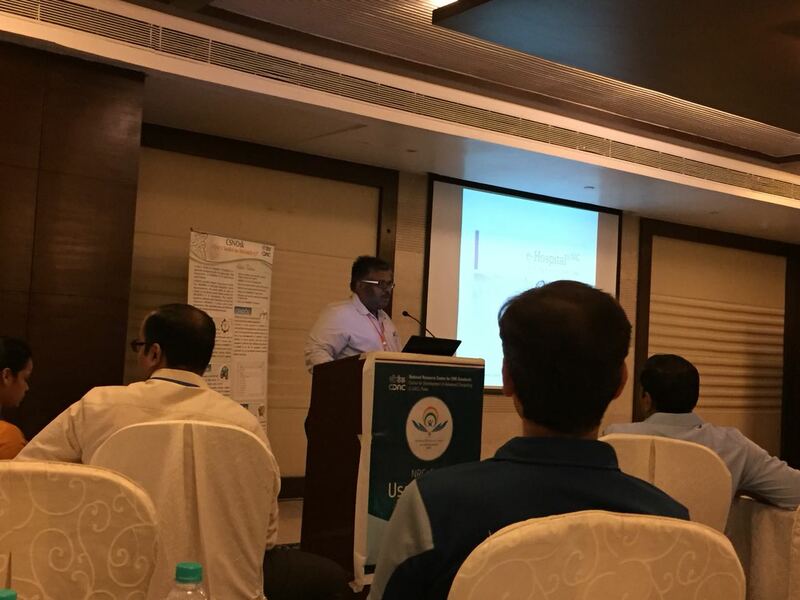 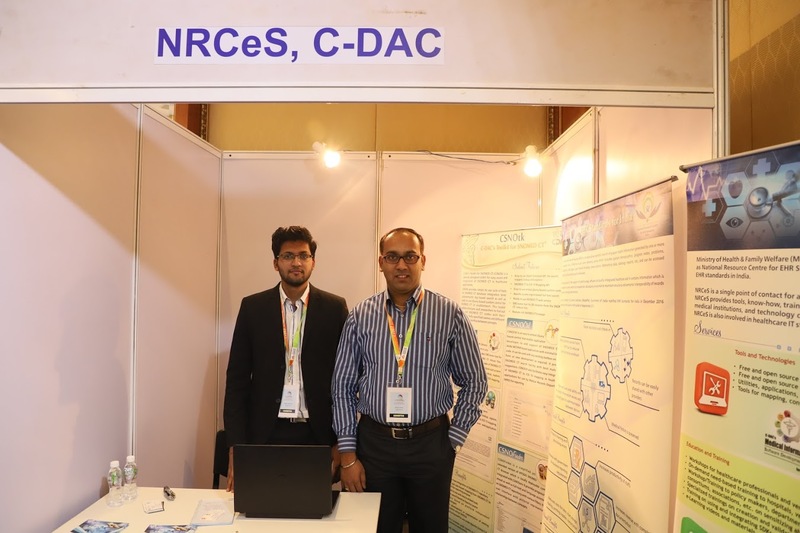 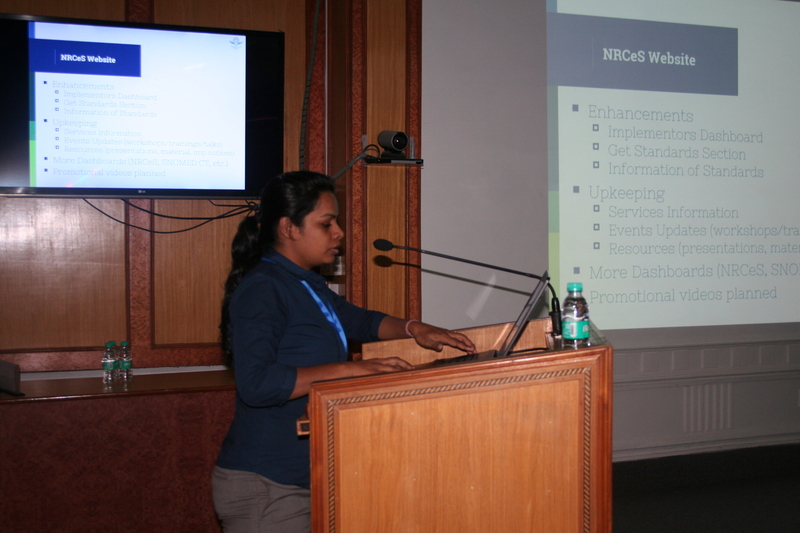 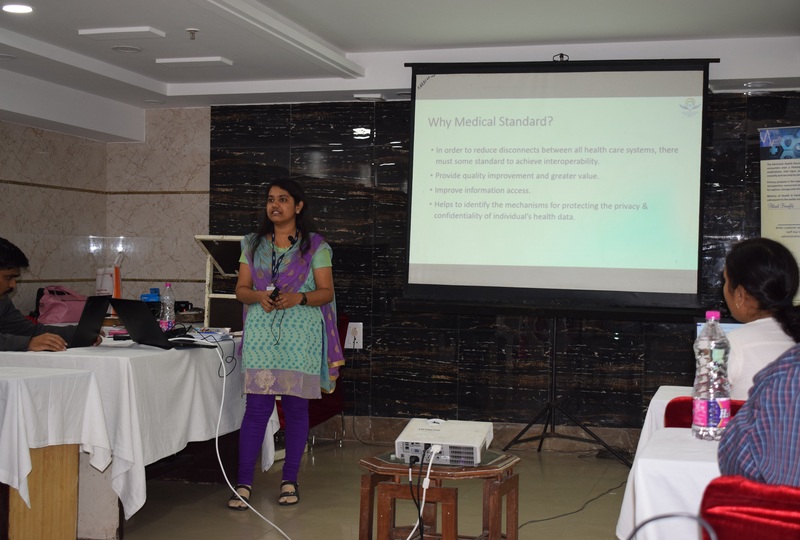 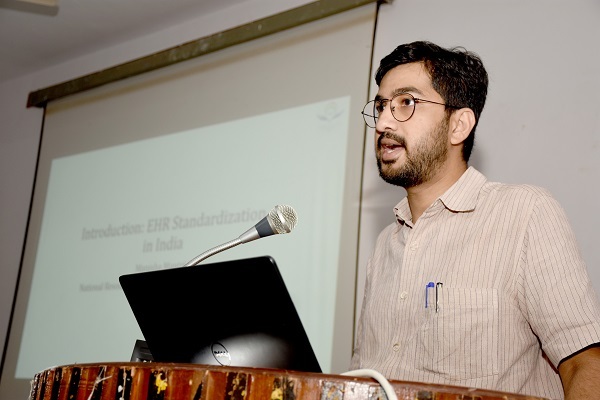 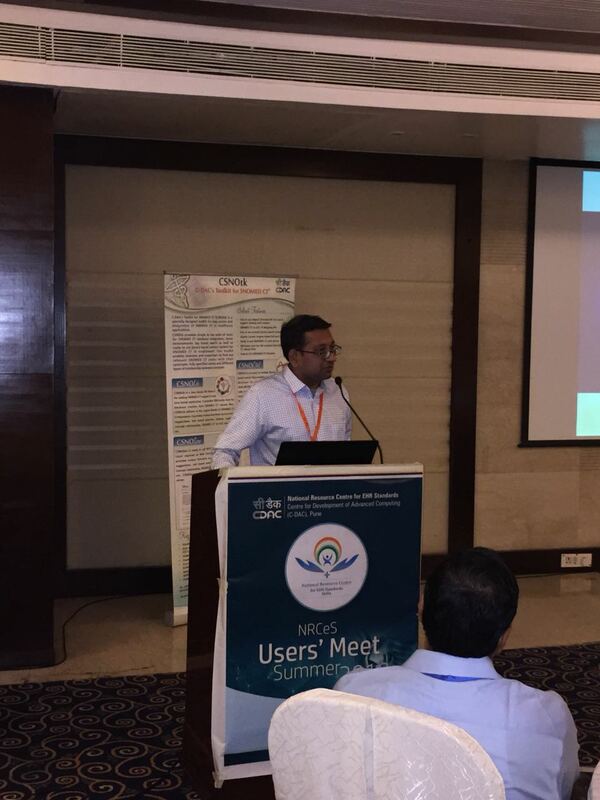 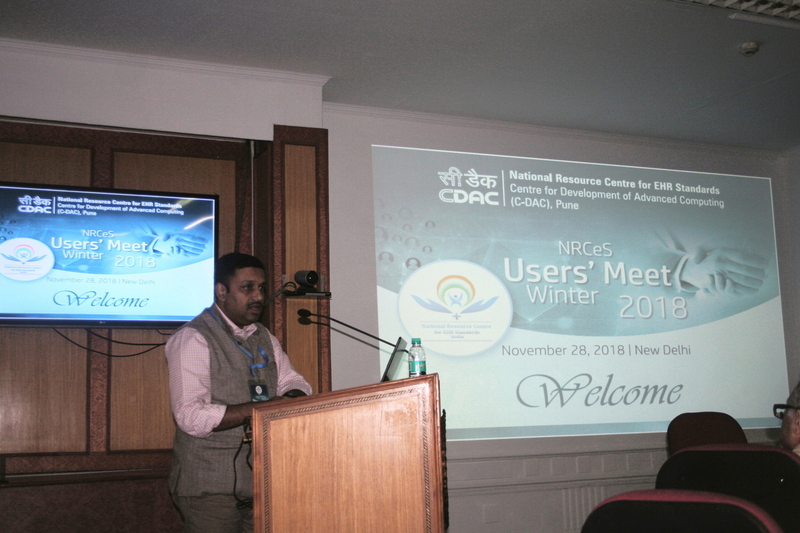 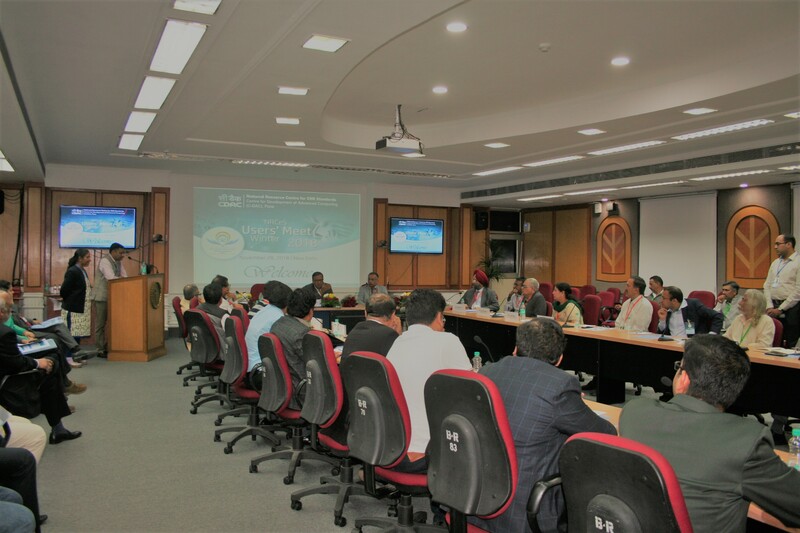 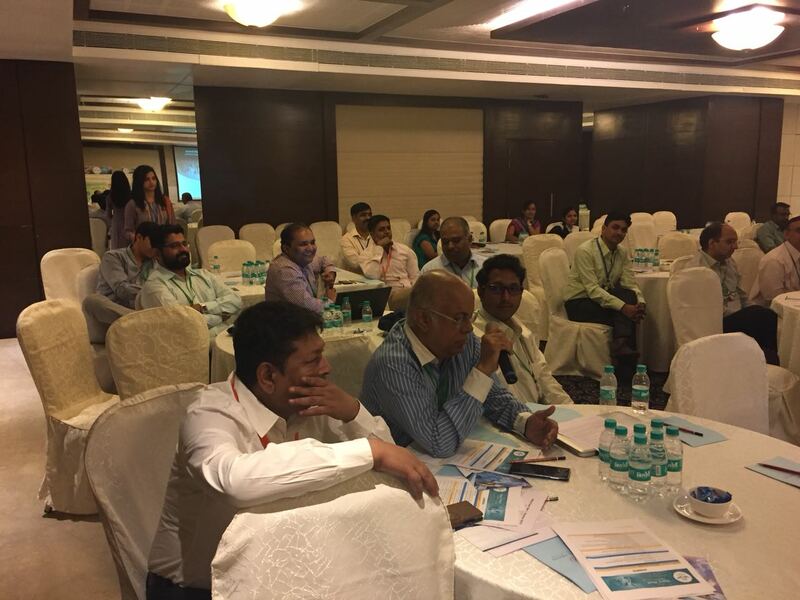 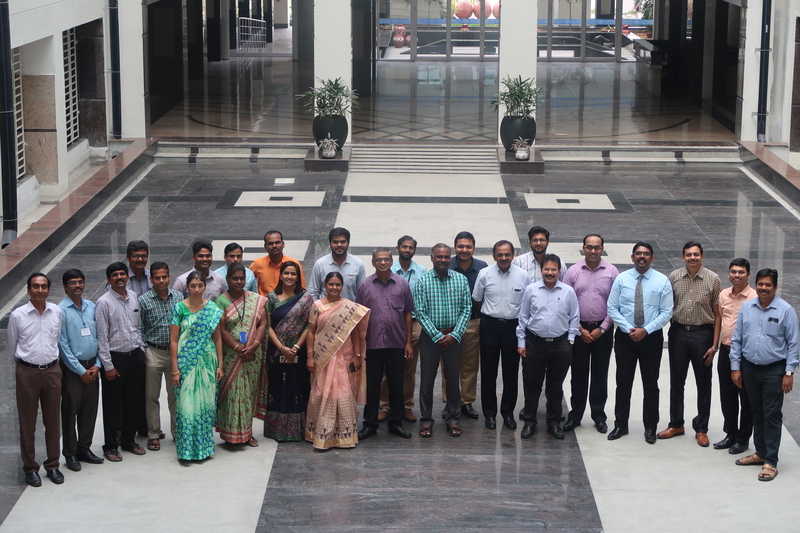 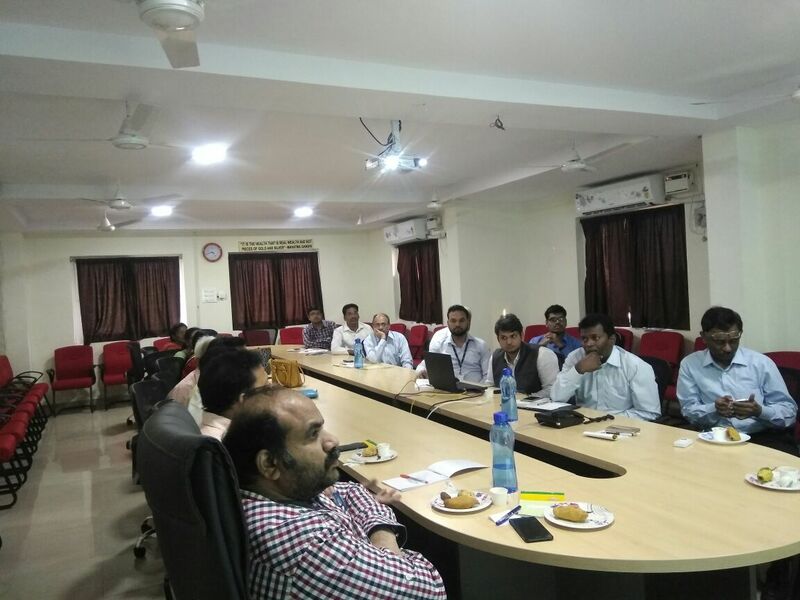 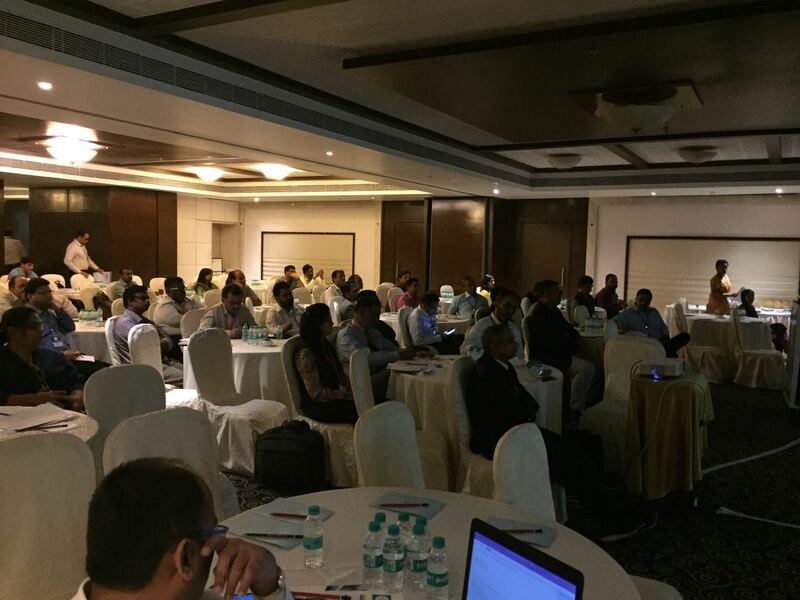 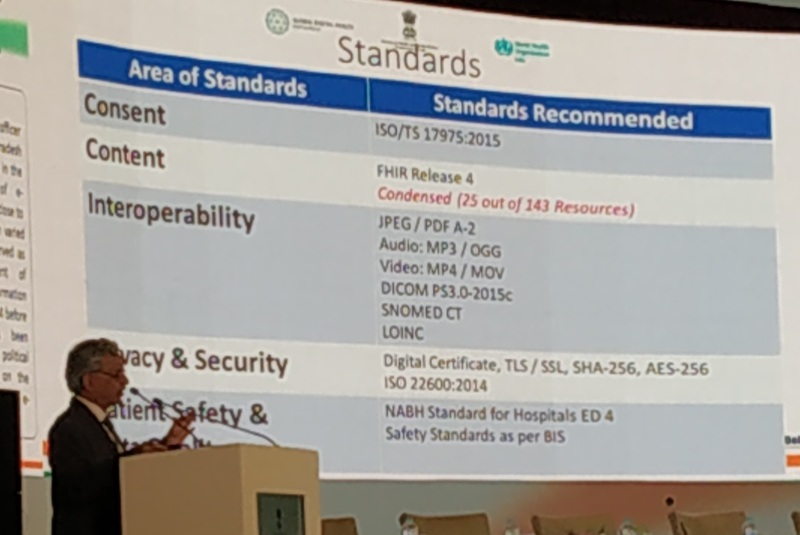 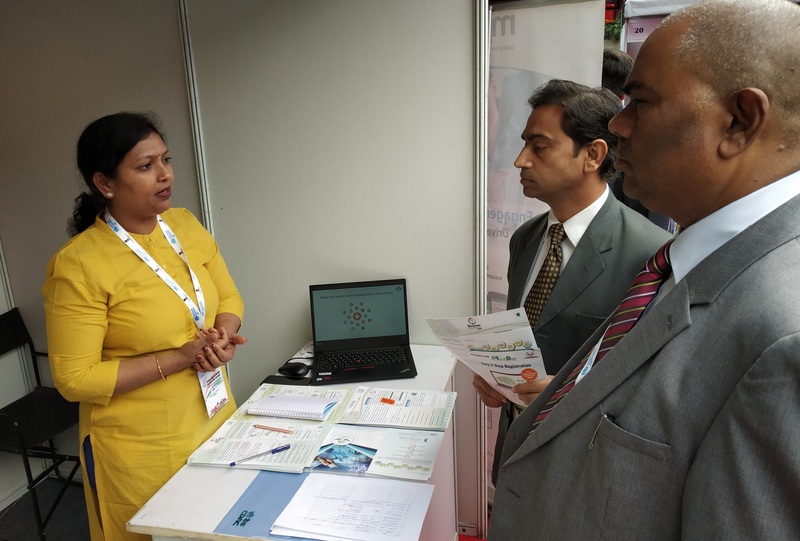 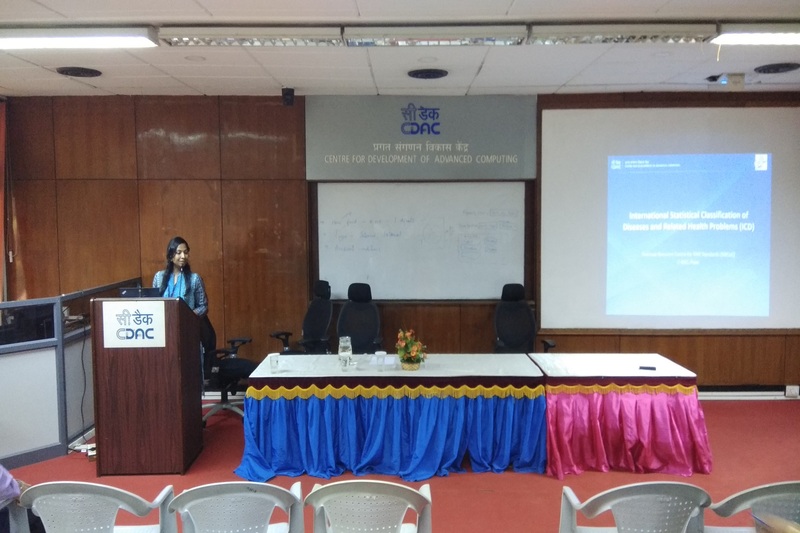 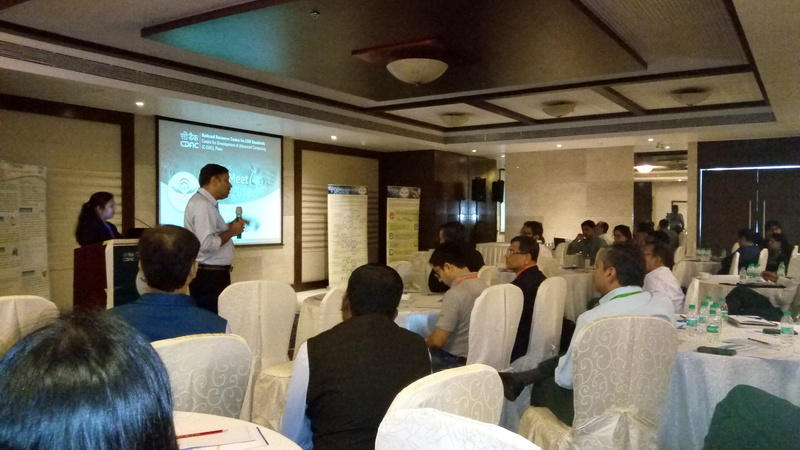 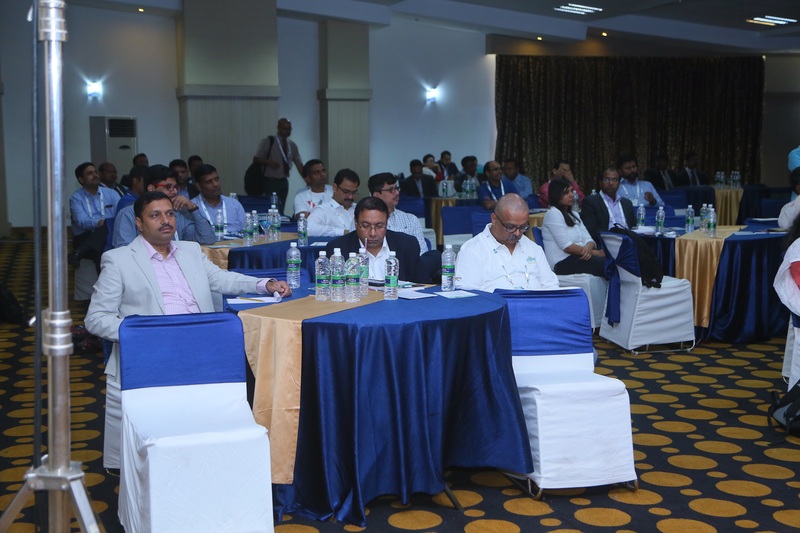 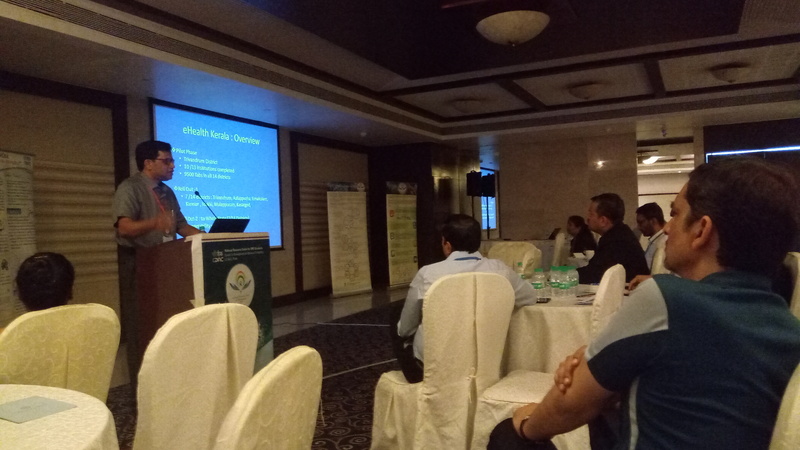 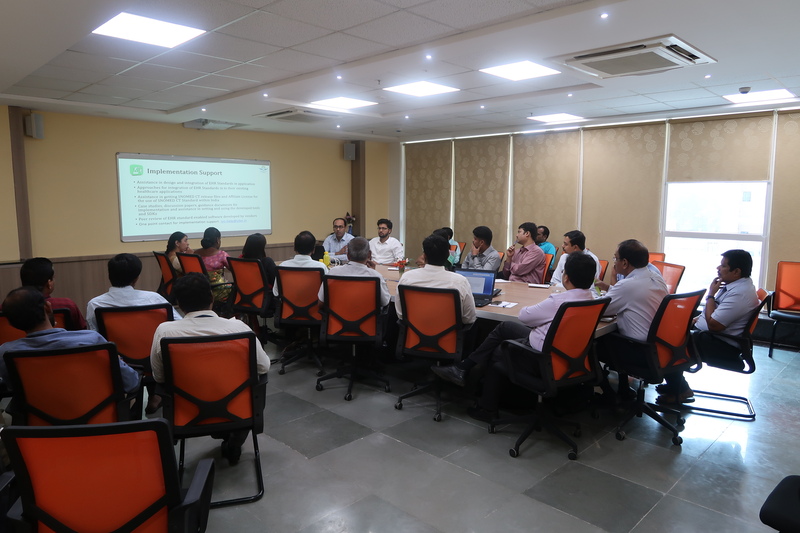 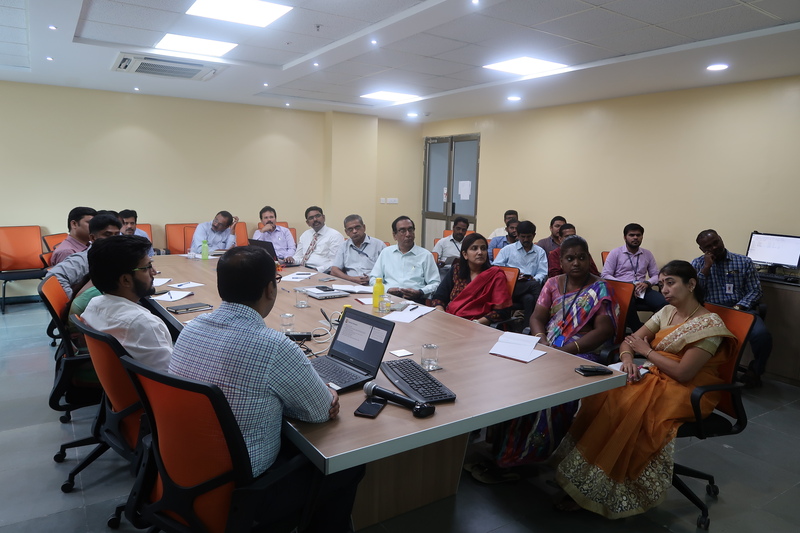 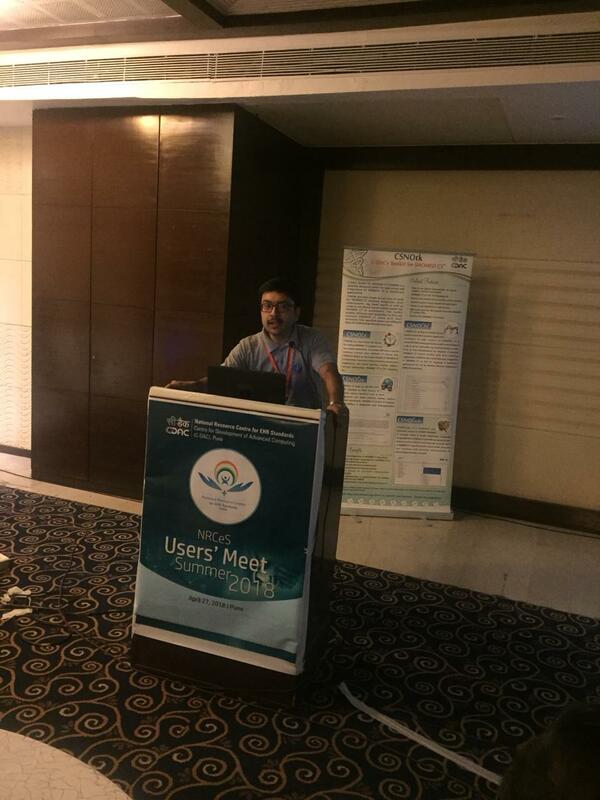 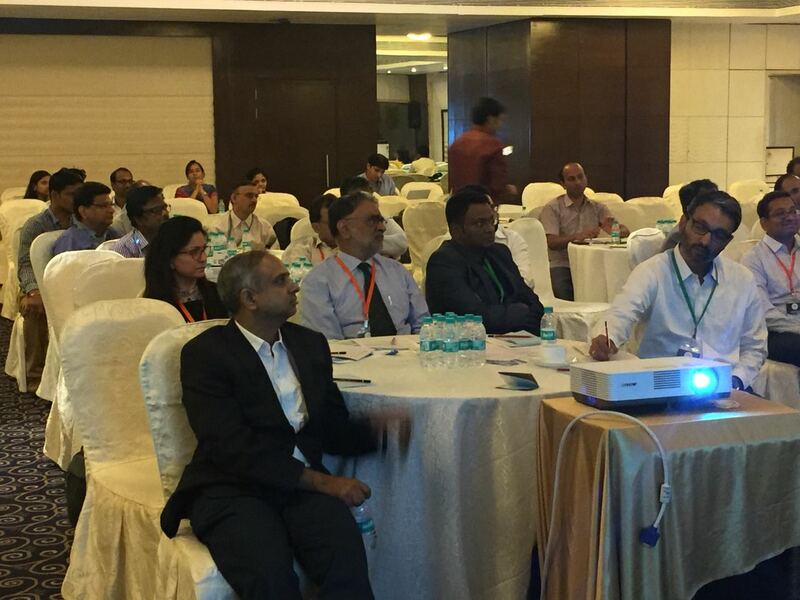 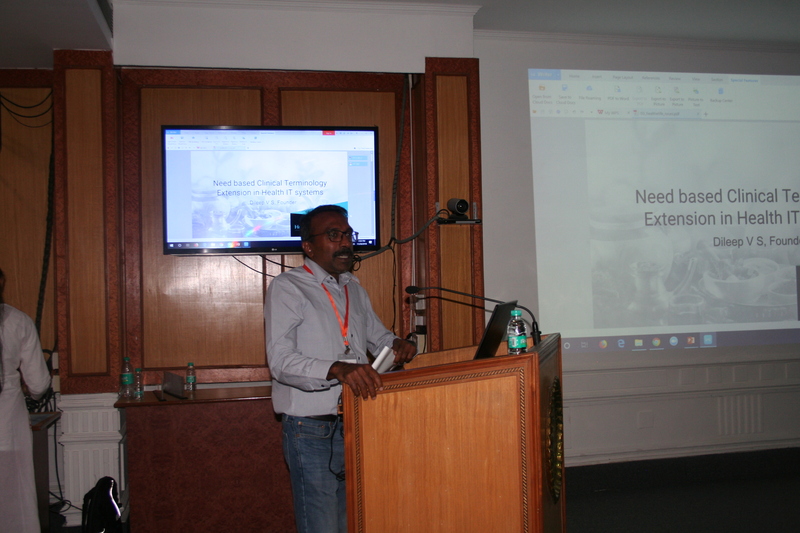 NRCeS Users' Meet - Summer 2018 organized by National Resource Centre for EHR Standards (NRCeS) was a platform to share experiences about implementation and adoption of EHR standards, practical challenges, sollutions, best practices and future approaches. 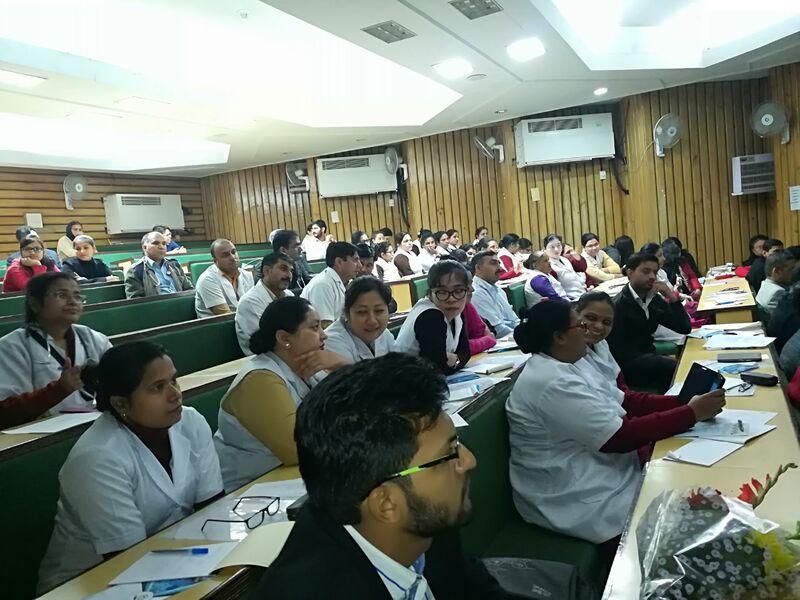 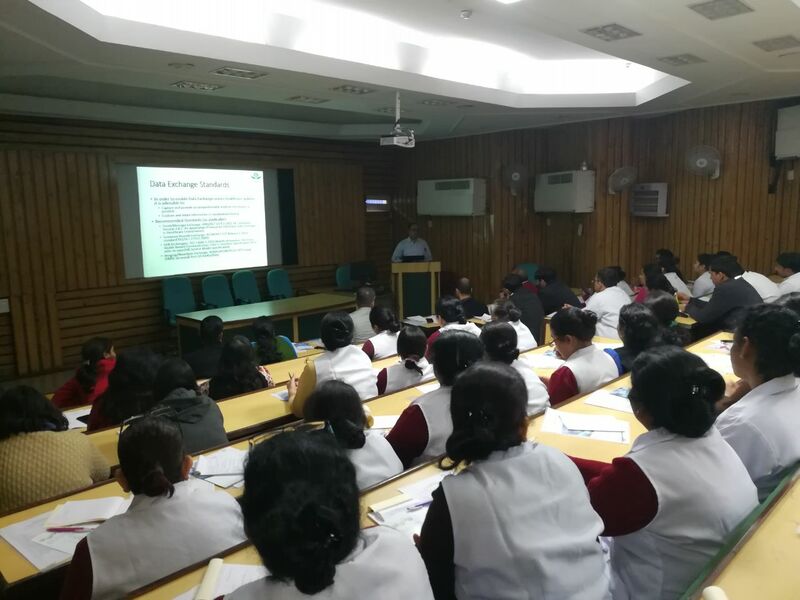 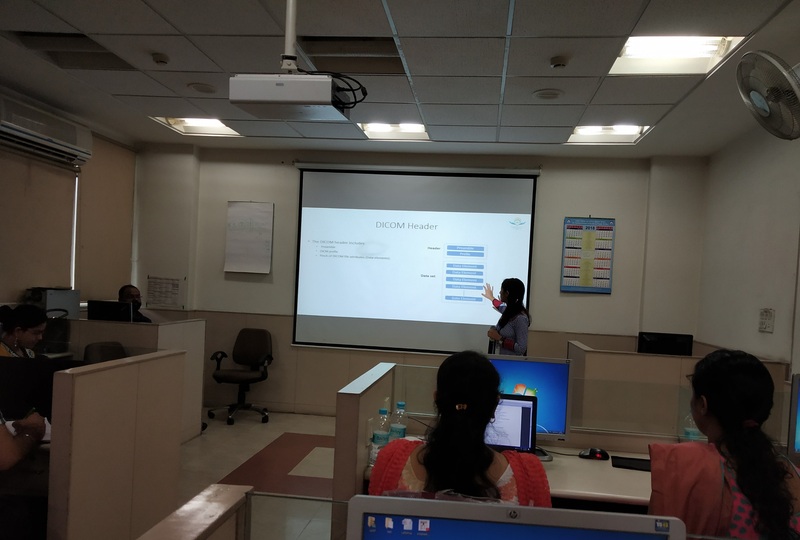 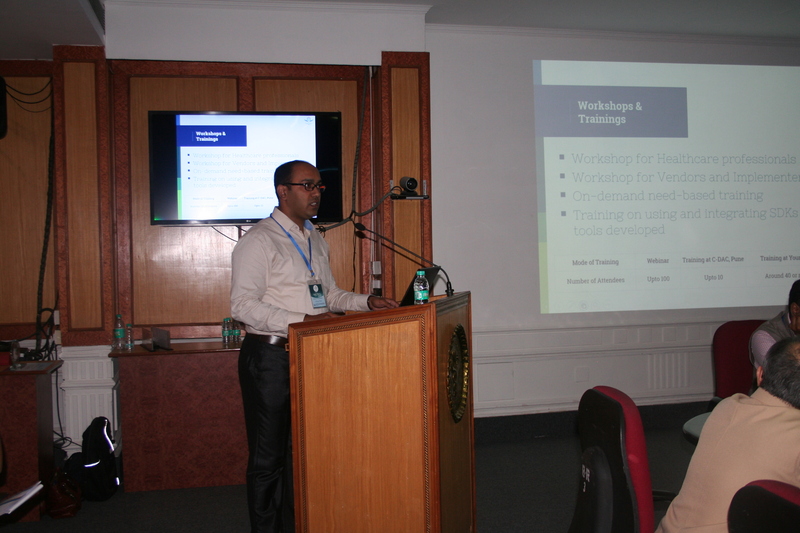 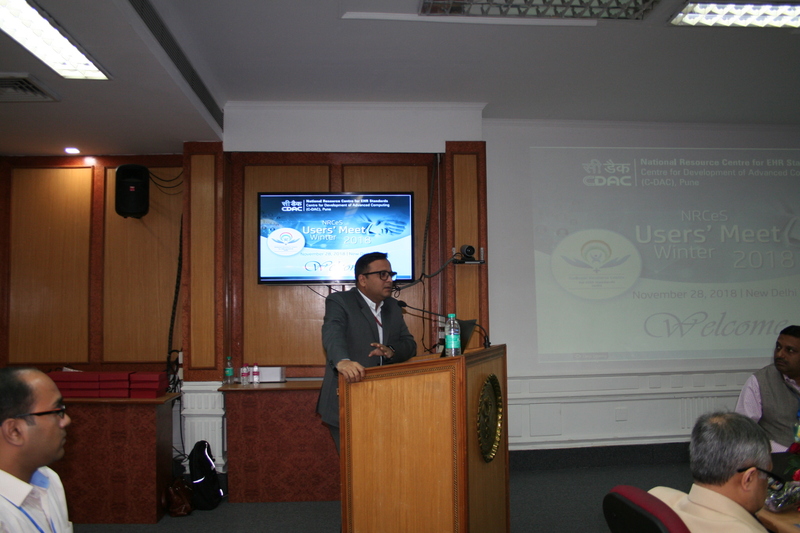 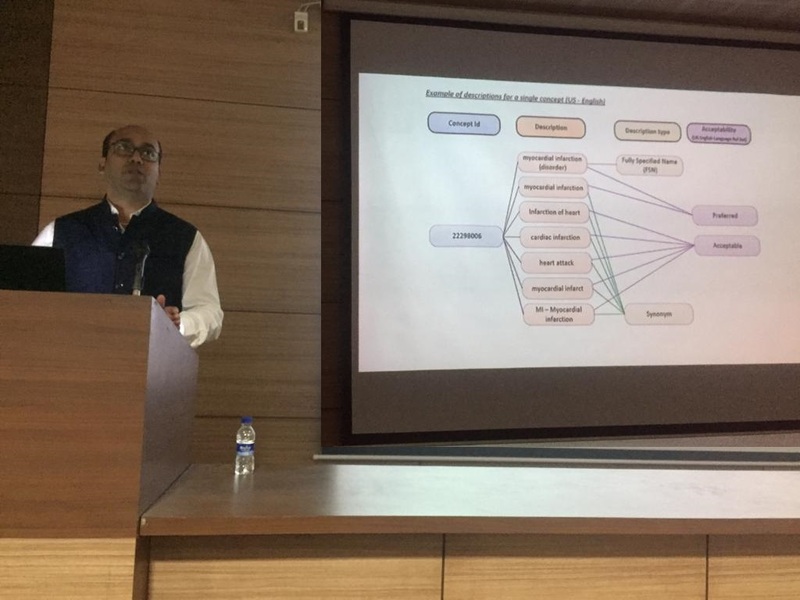 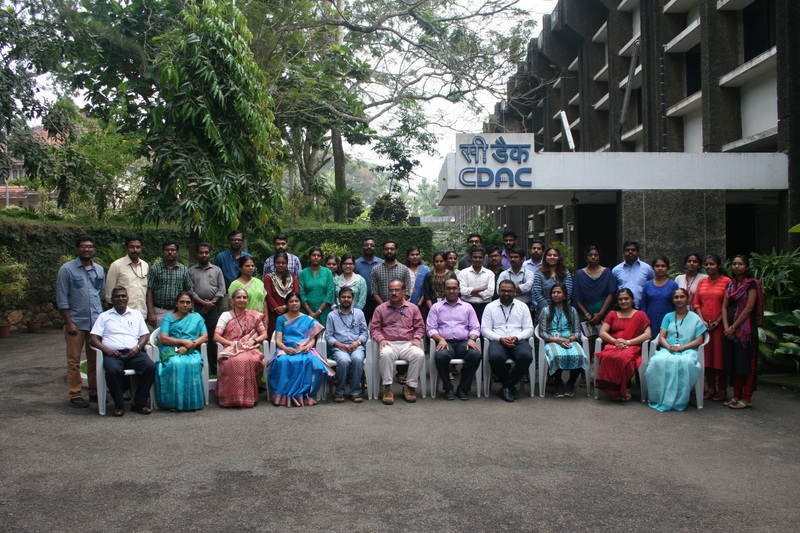 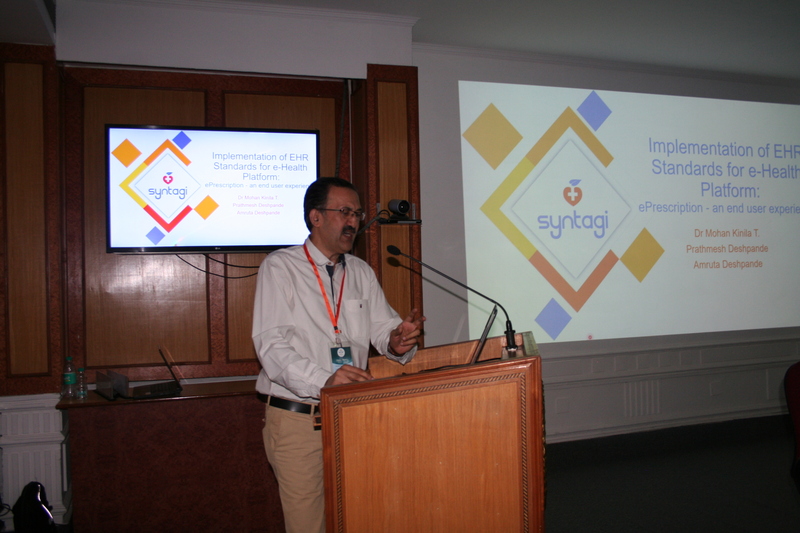 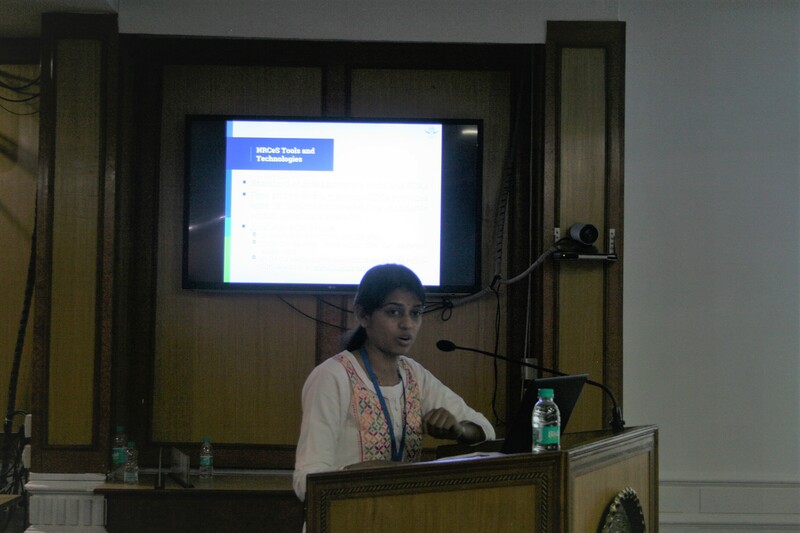 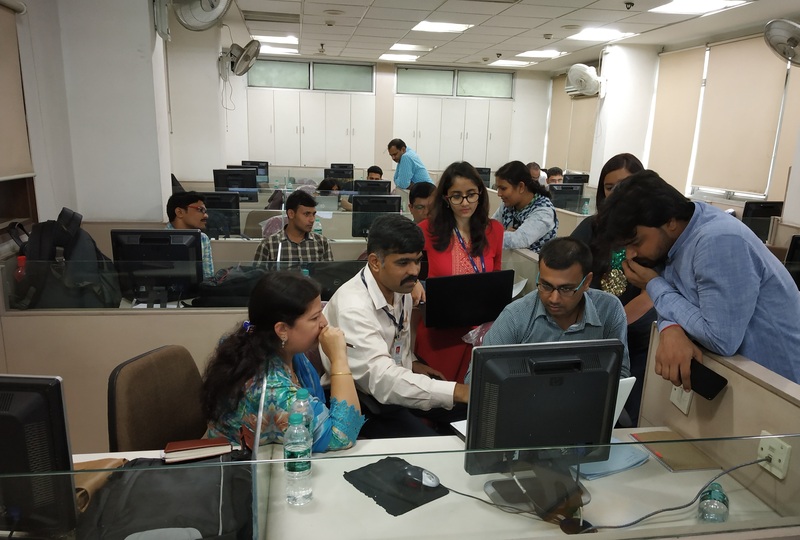 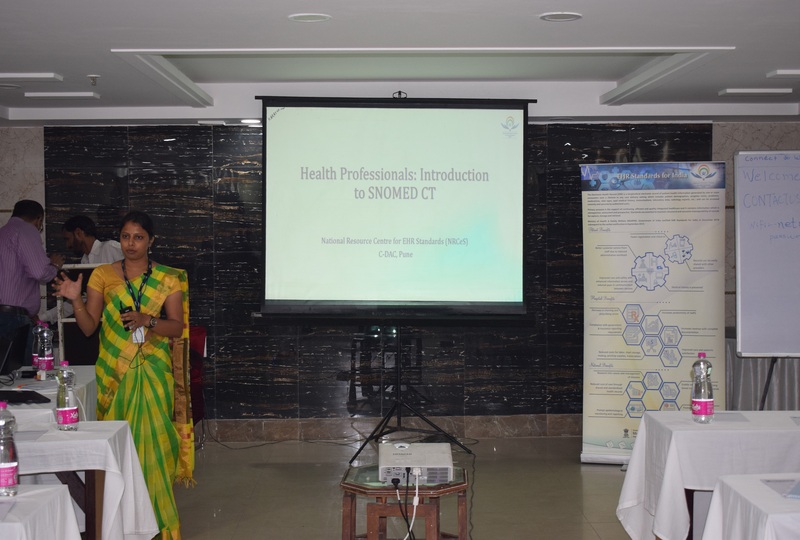 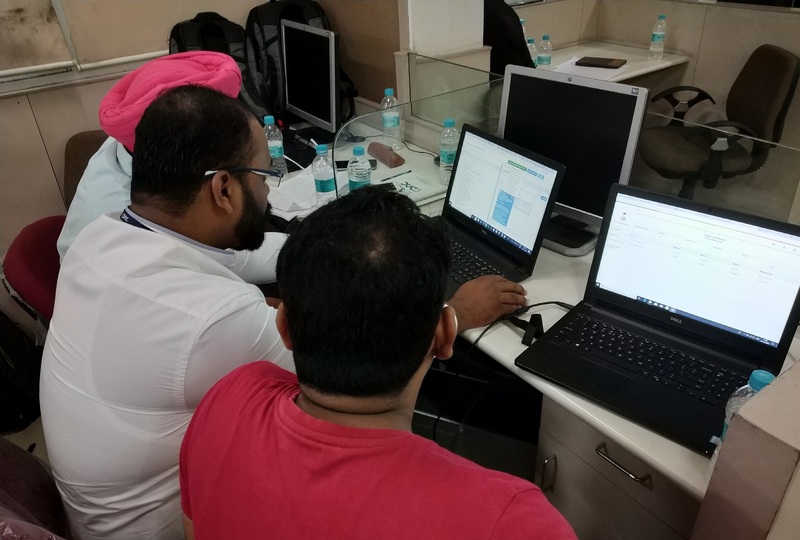 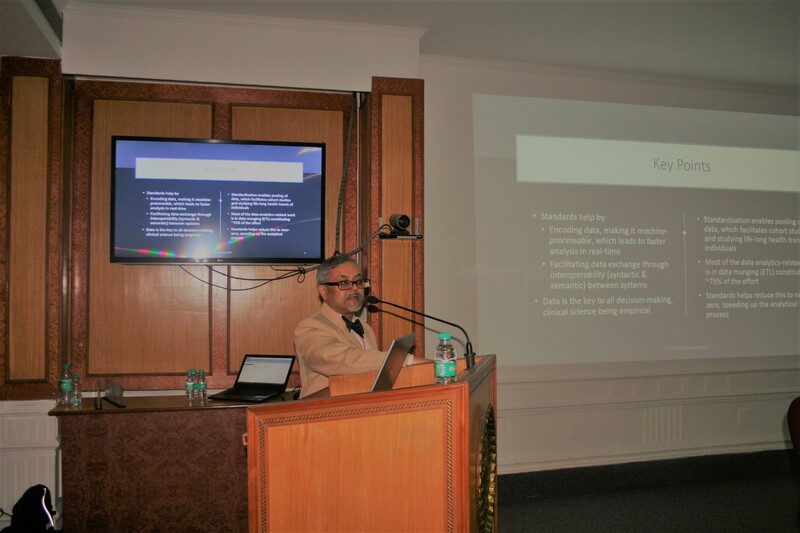 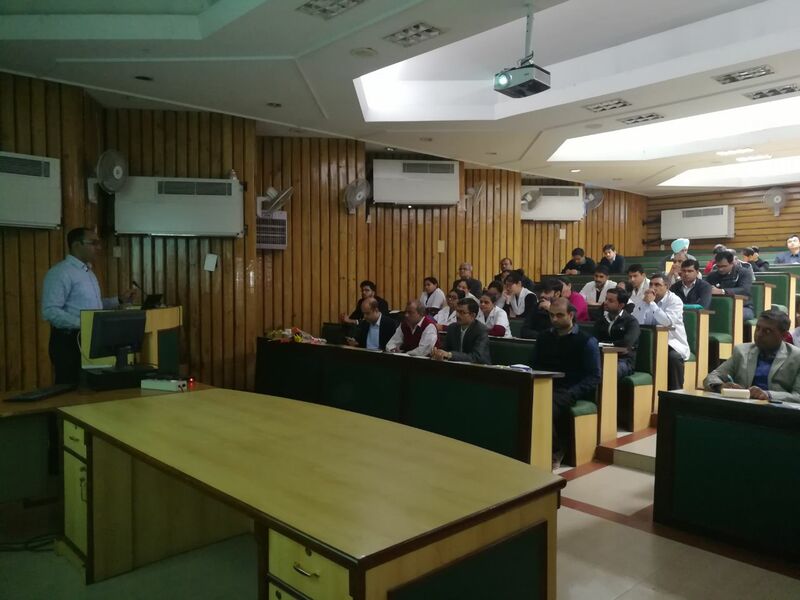 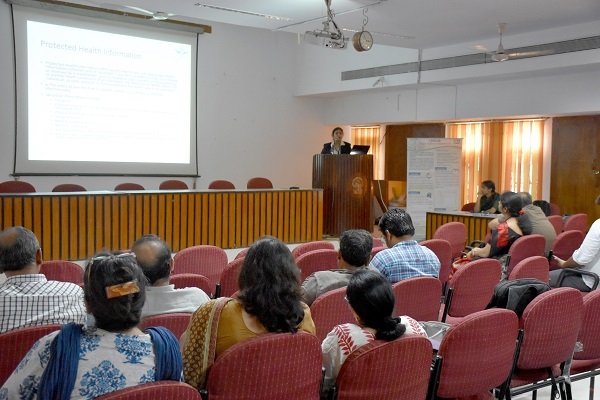 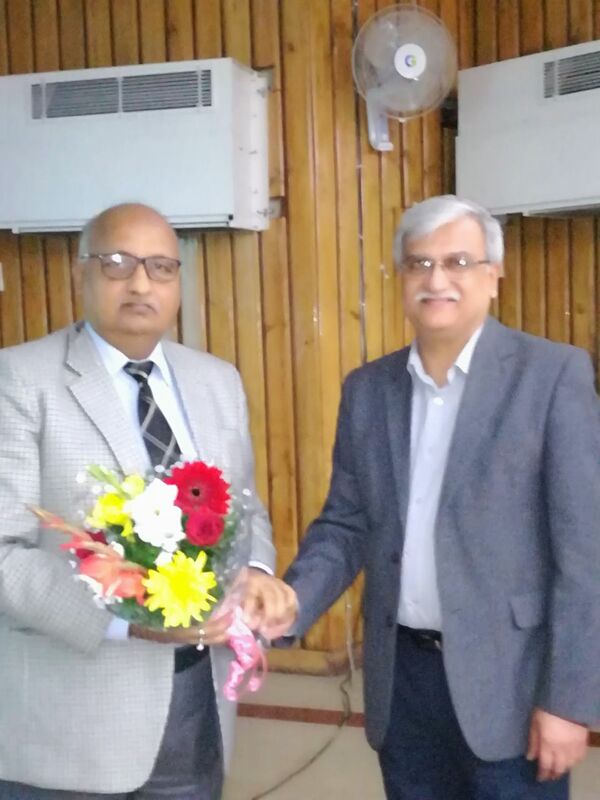 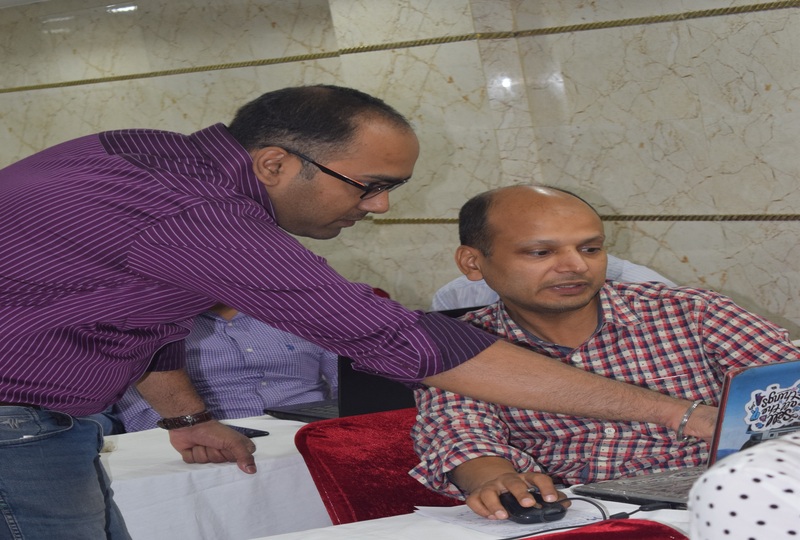 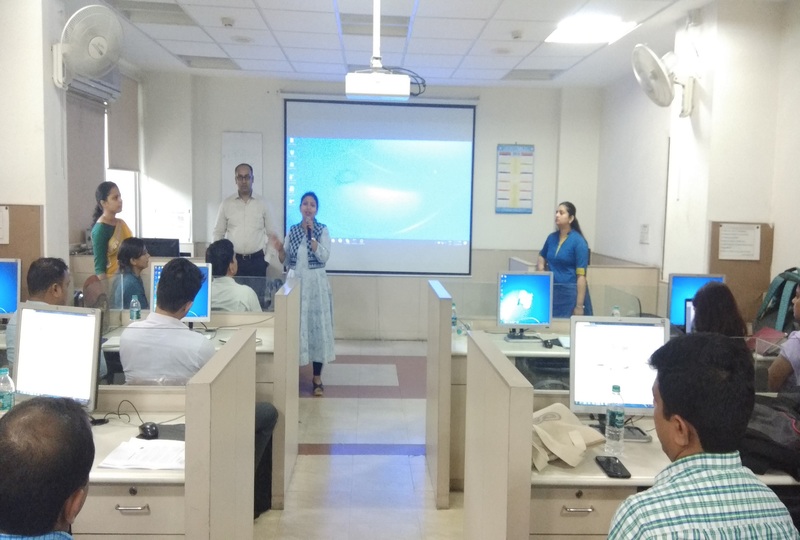 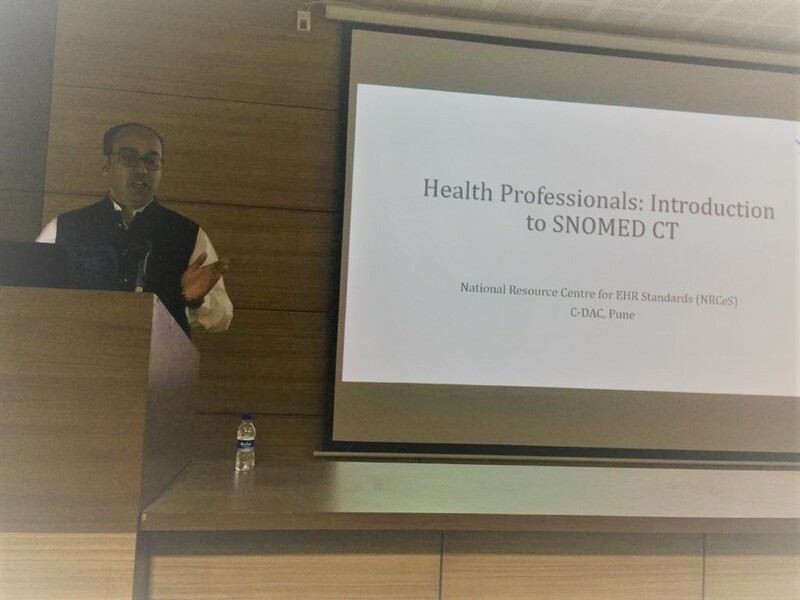 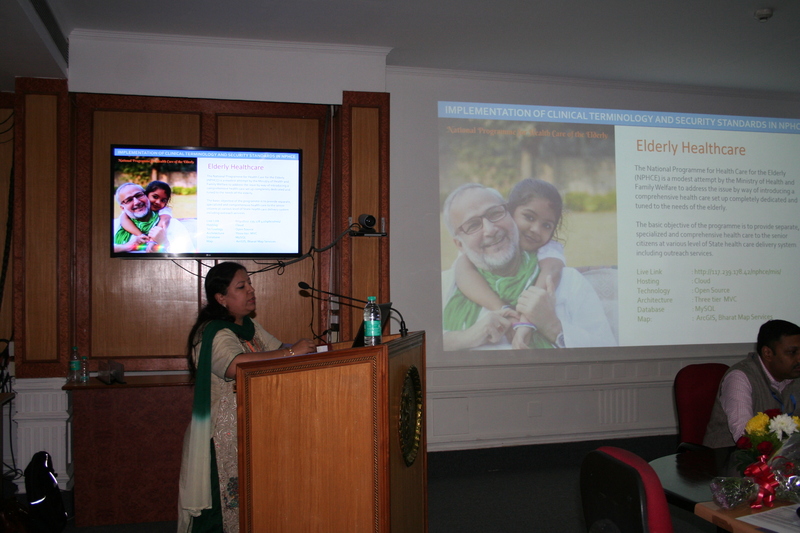 Half day Workshop on Introduction to SNOMED CT was conducted at Safdarjung Hospital, New Delhi. 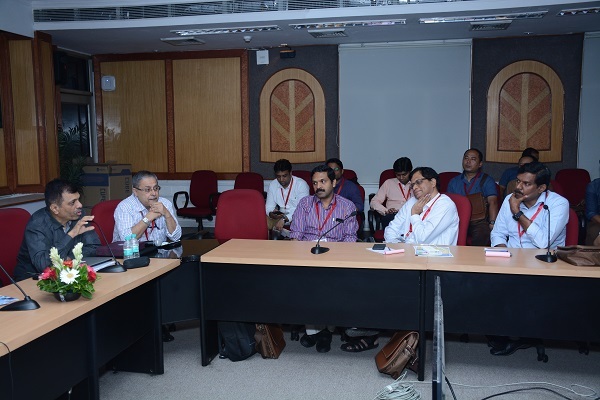 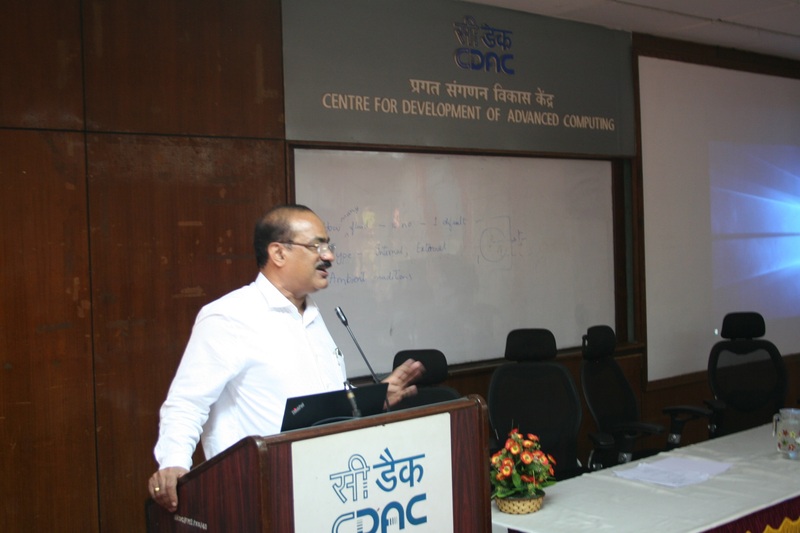 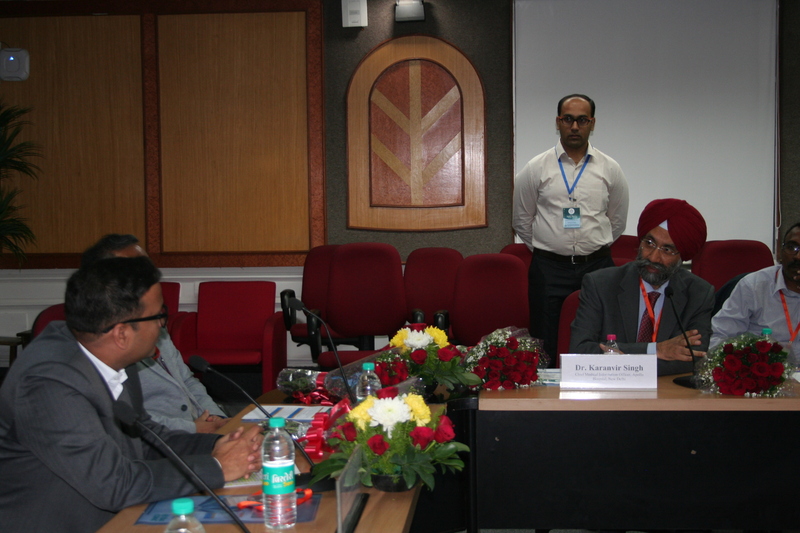 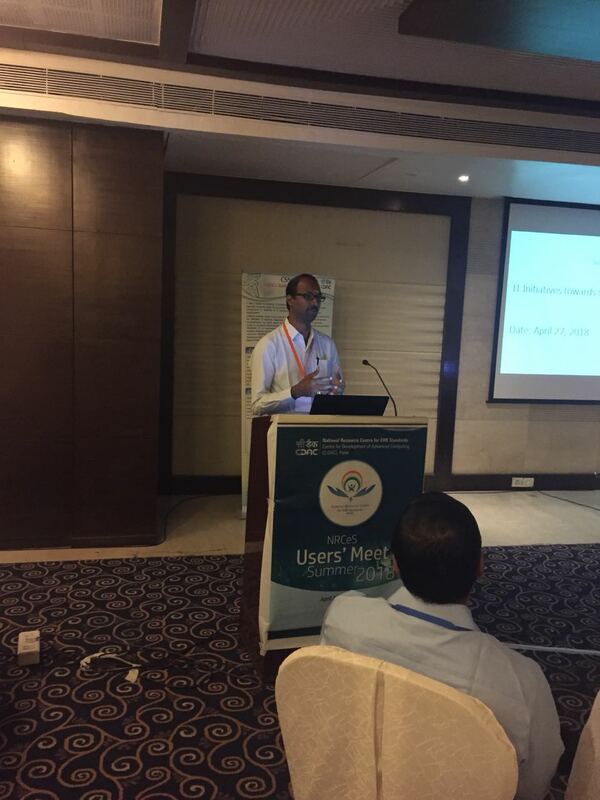 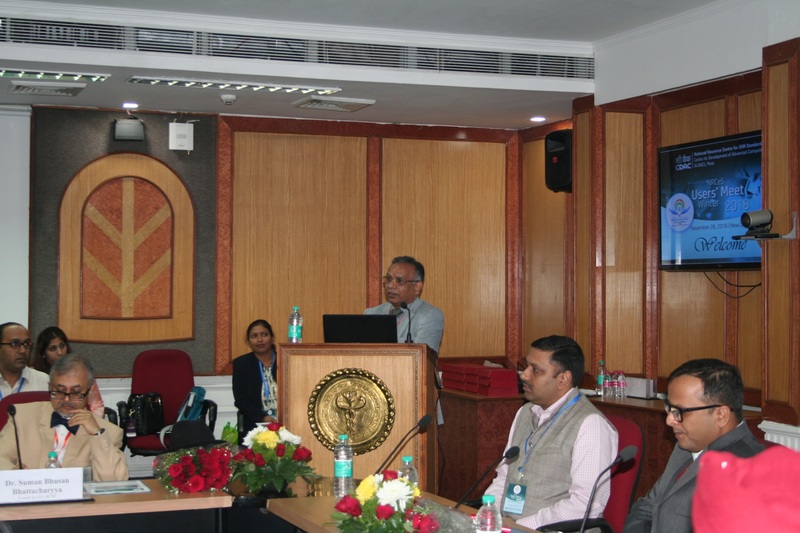 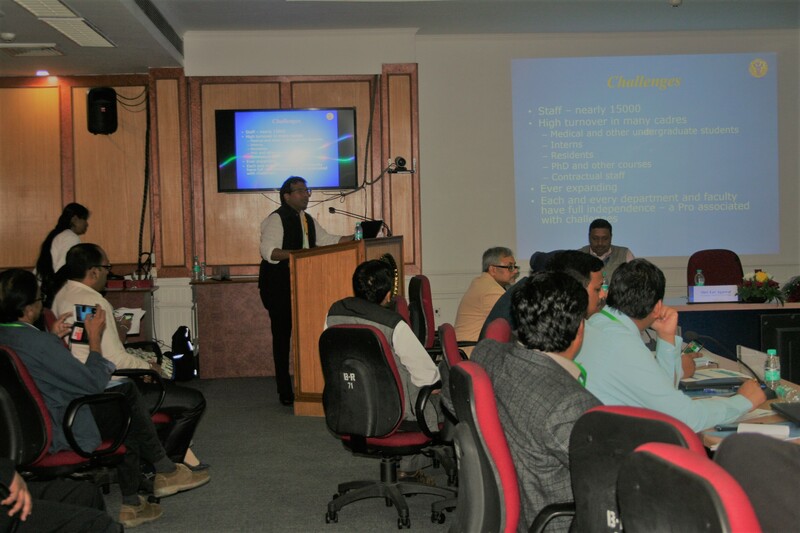 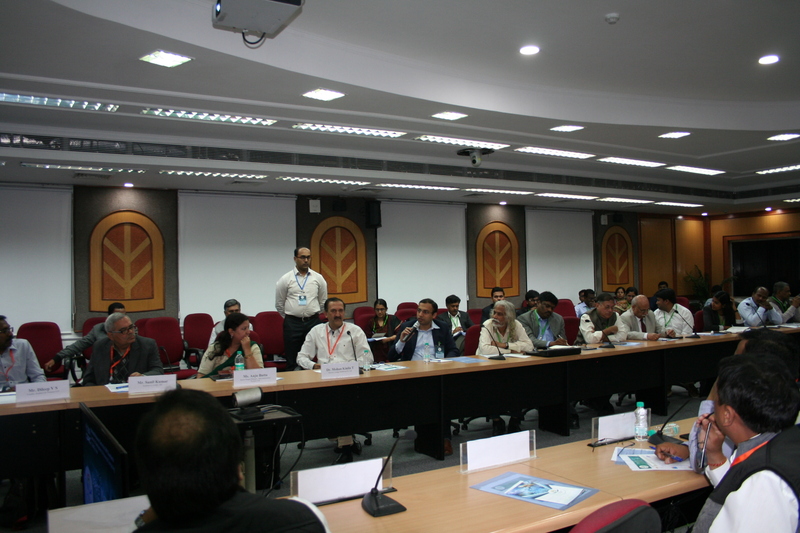 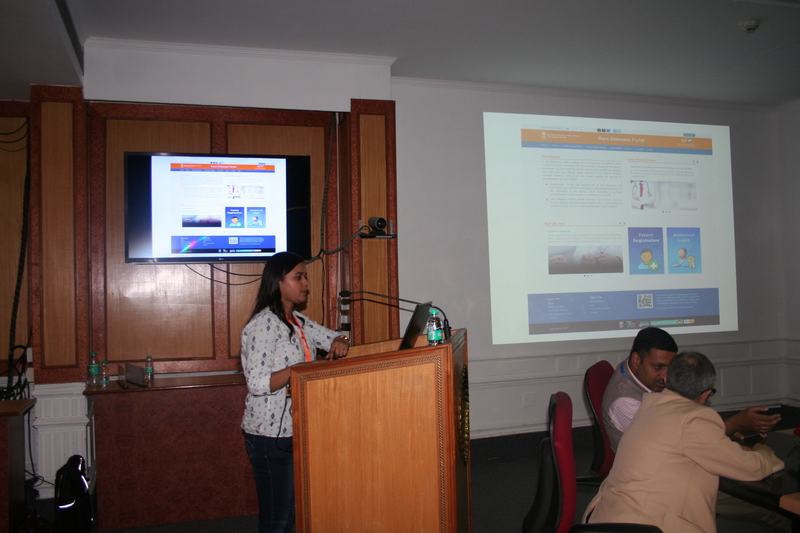 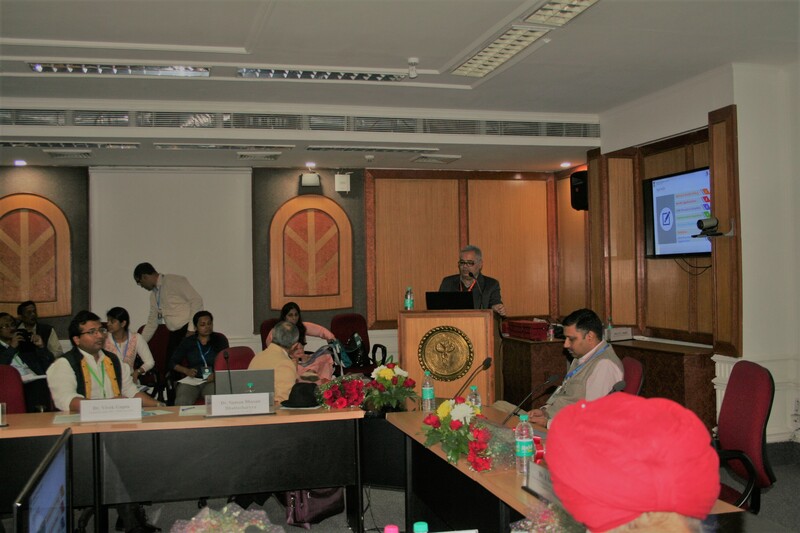 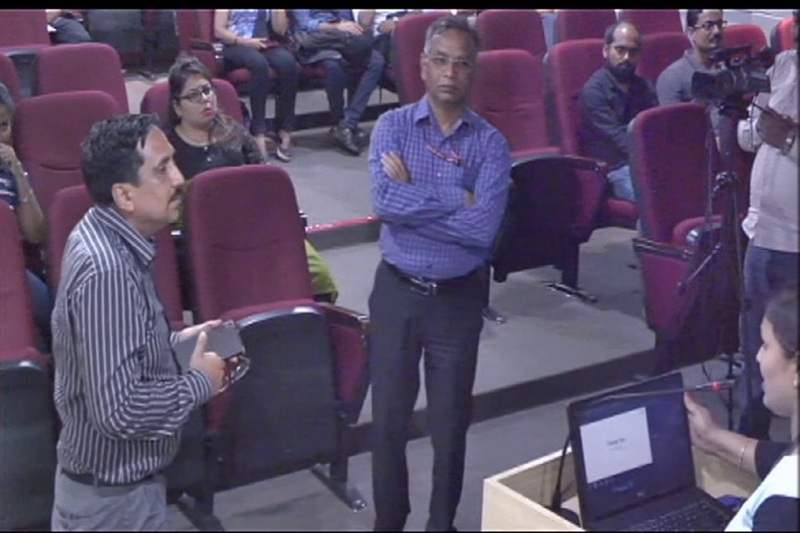 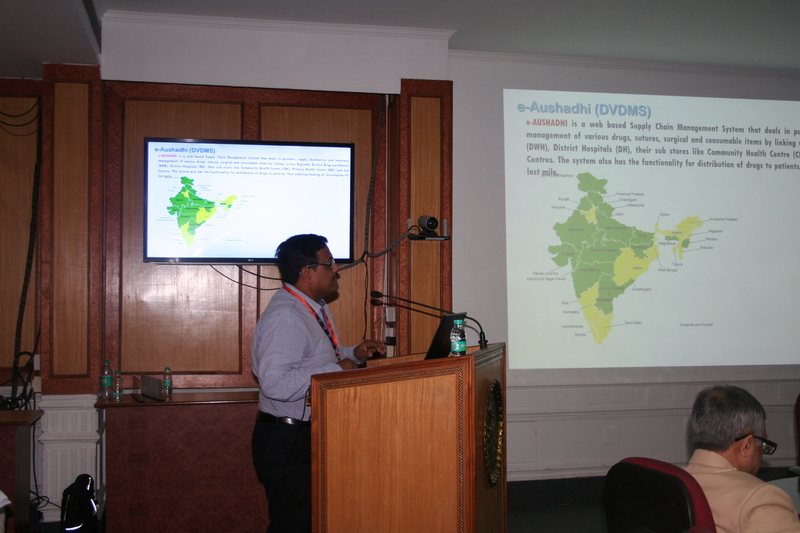 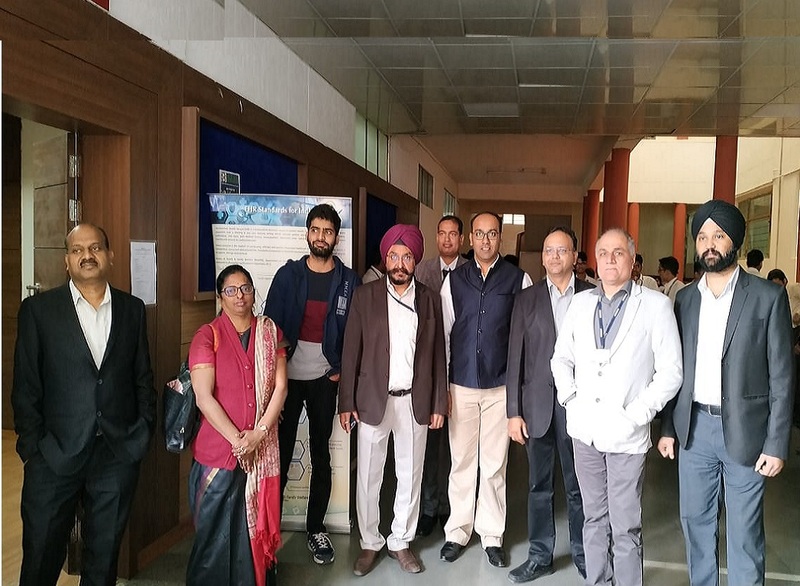 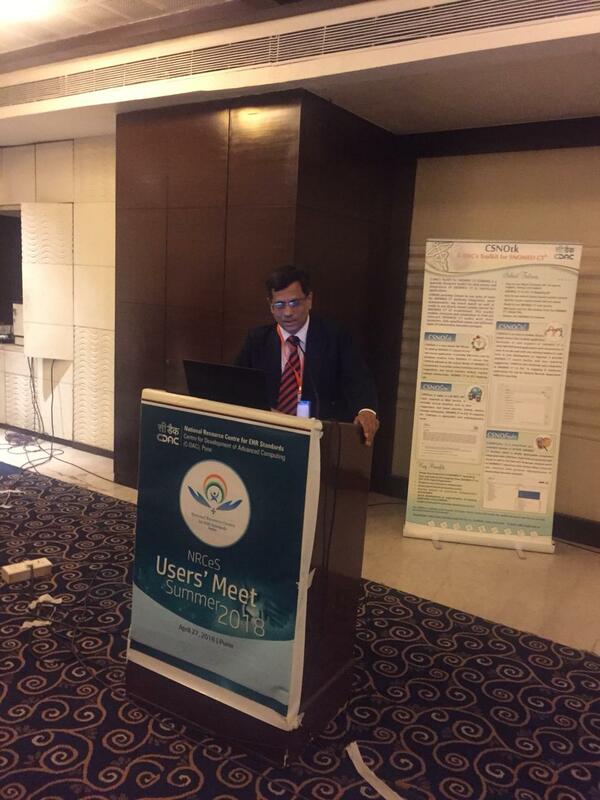 Half day Workshop on SNOMED CT Implementation was conducted at AIIMS, New Delhi. 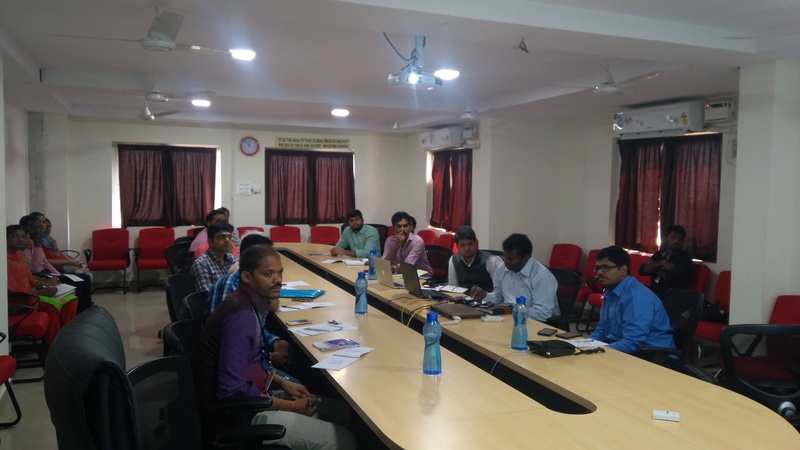 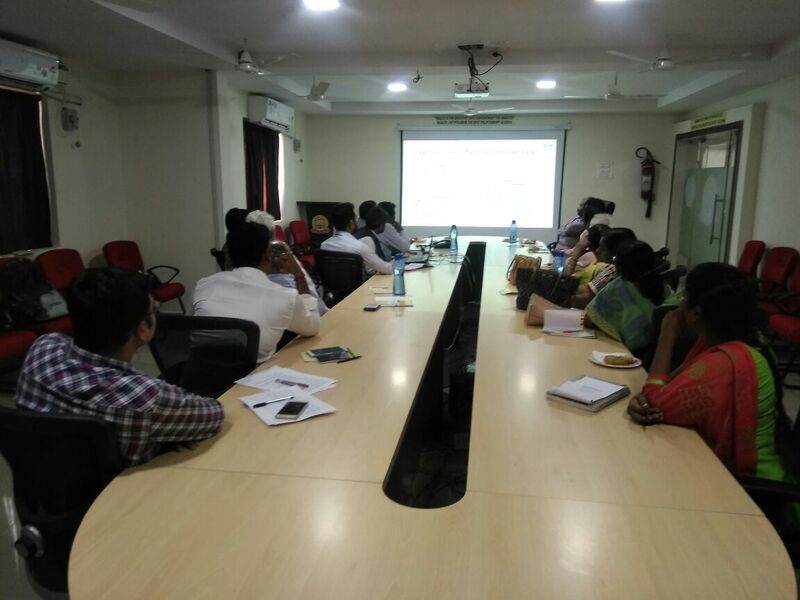 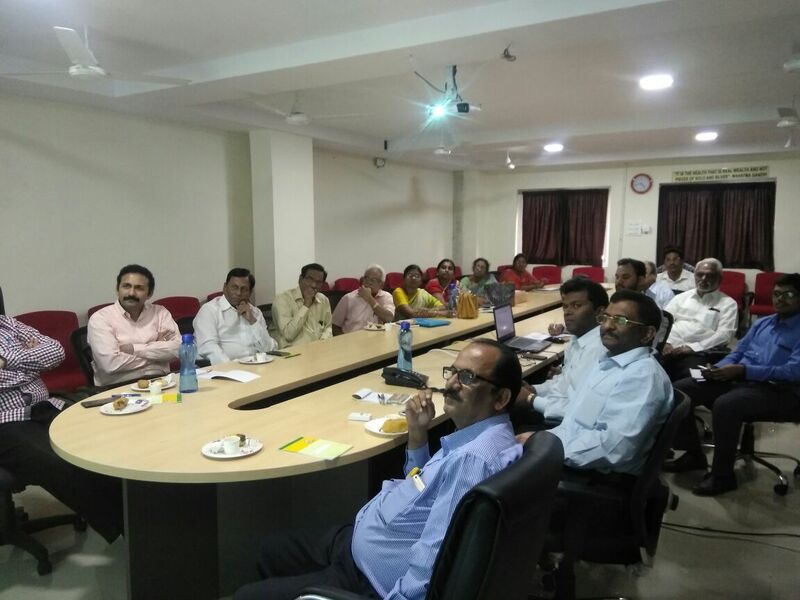 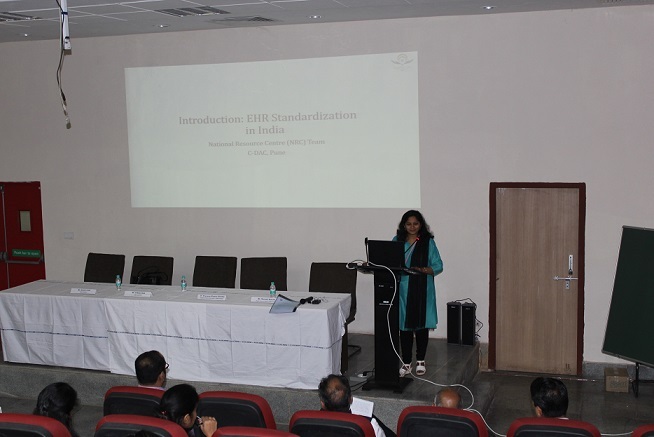 Half day Workshop on Introduction to EHR Standards was conducted at MGIMS Wardha. 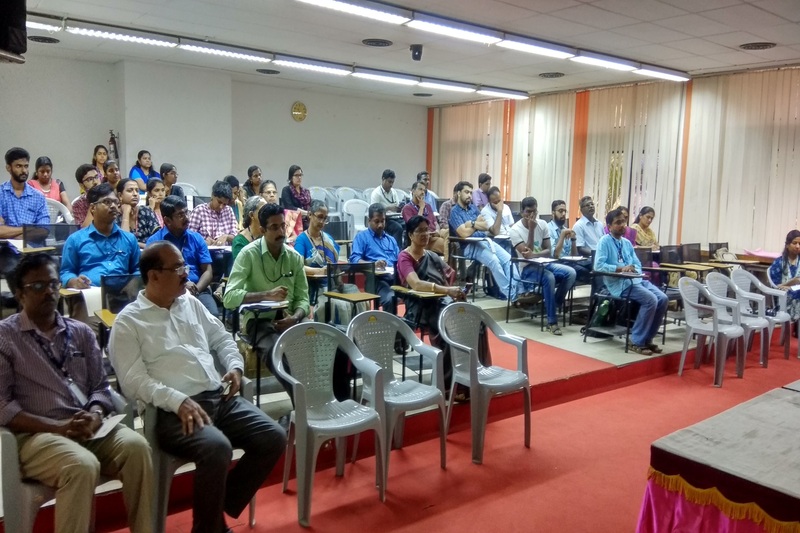 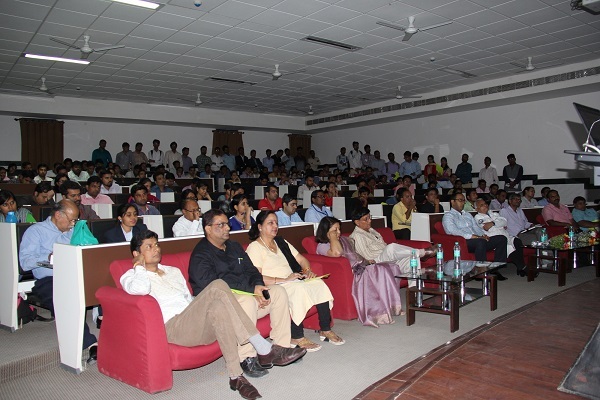 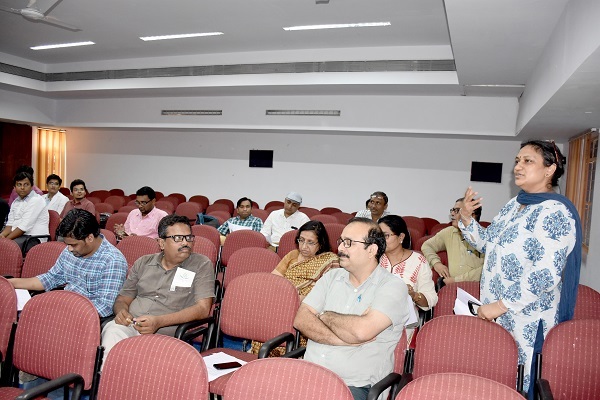 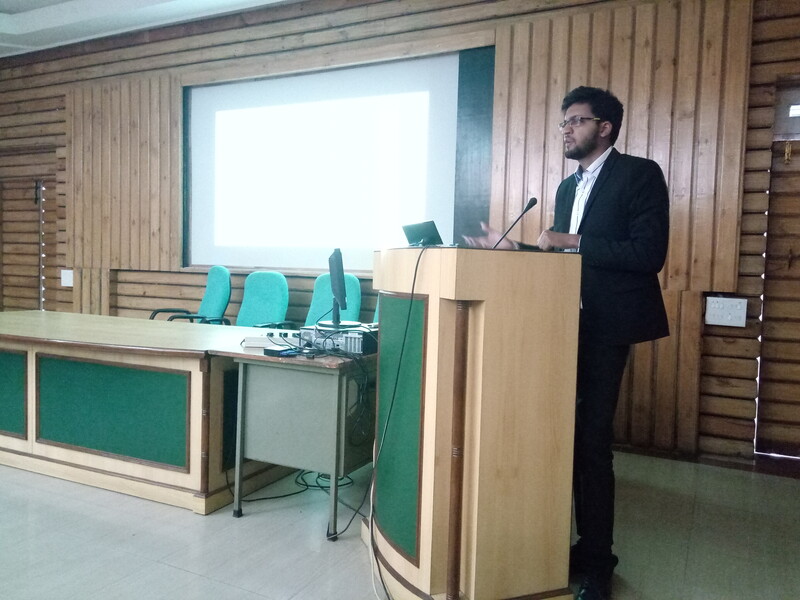 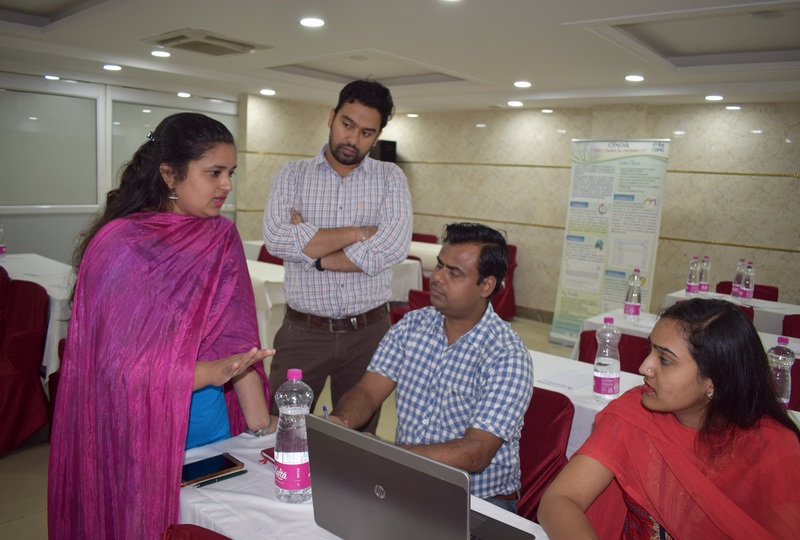 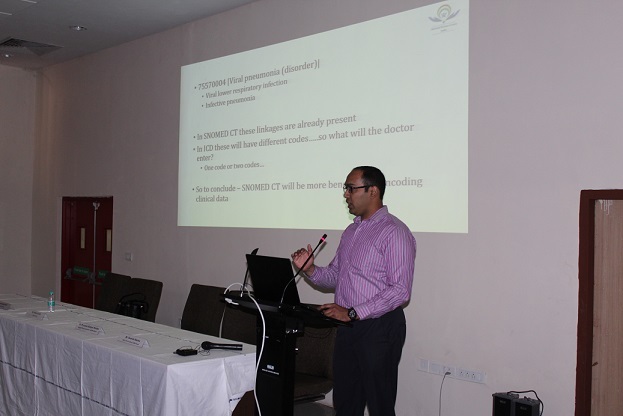 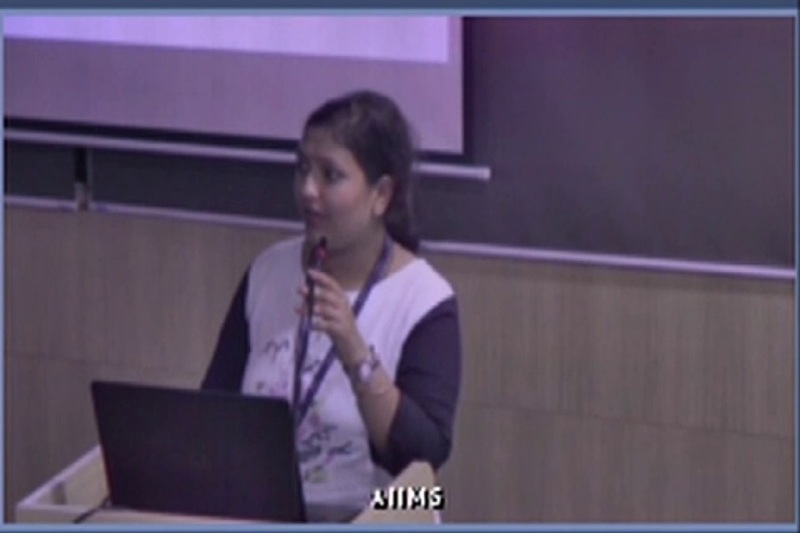 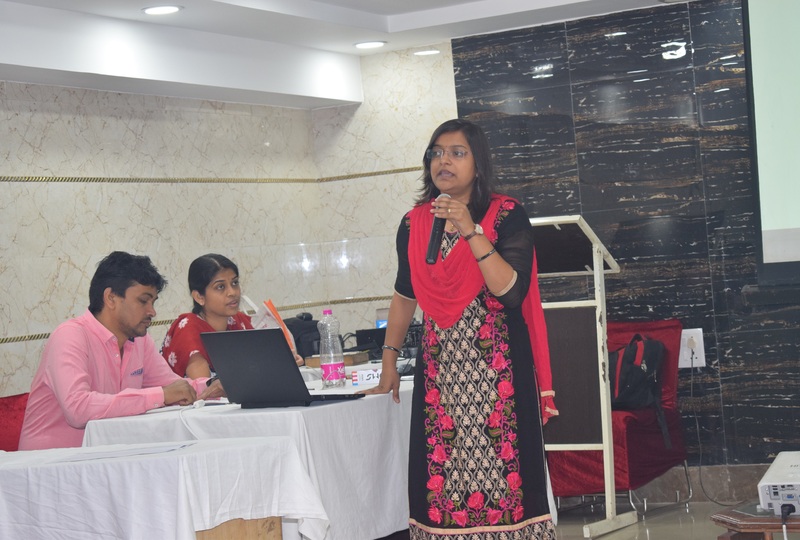 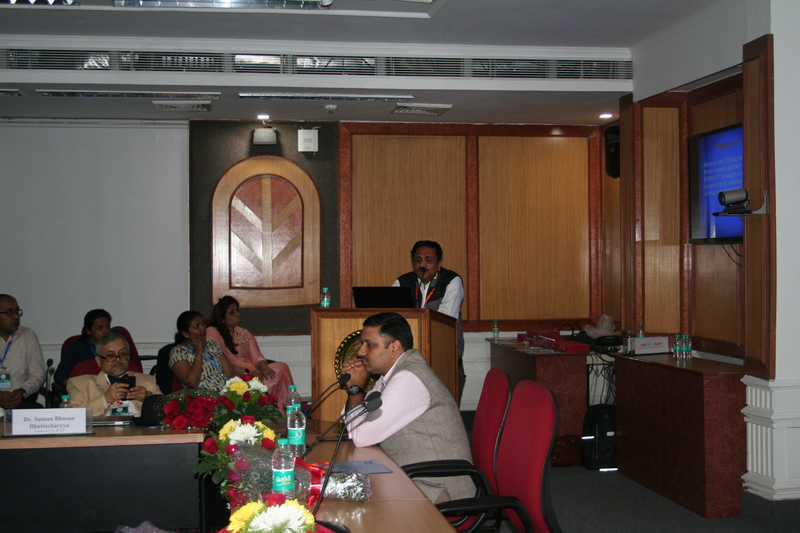 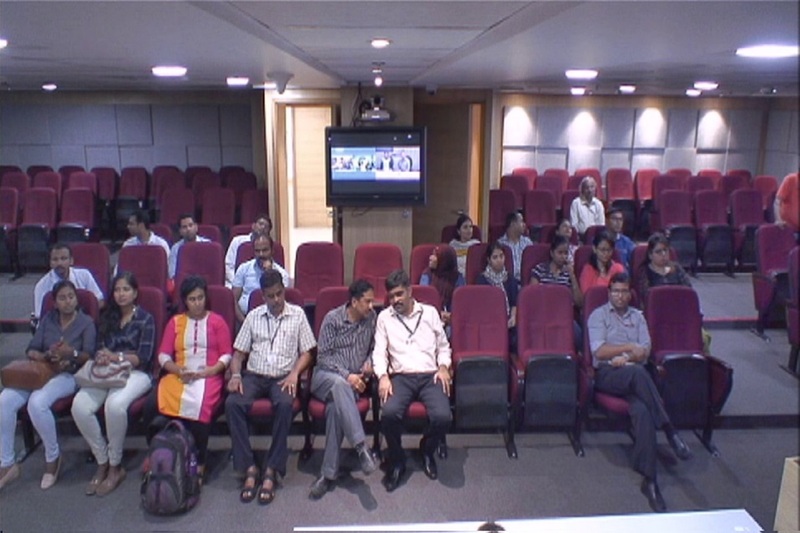 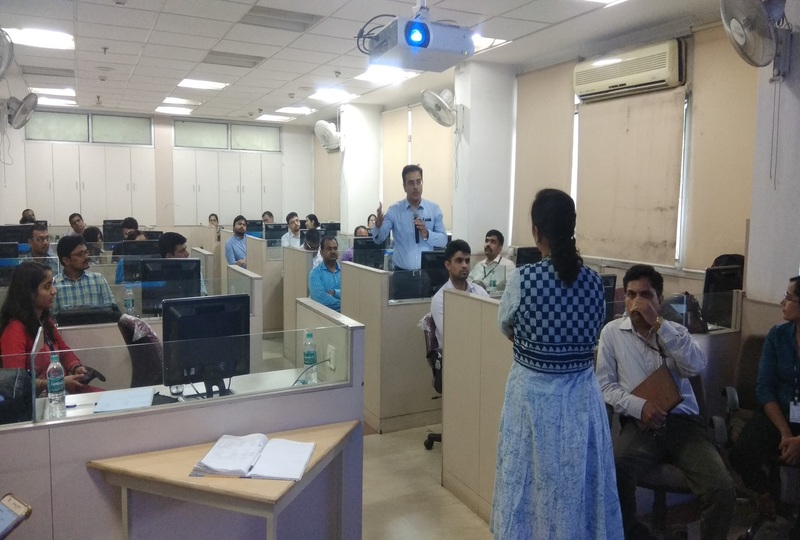 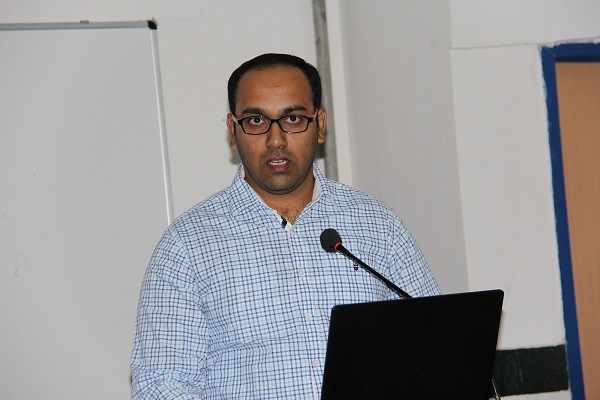 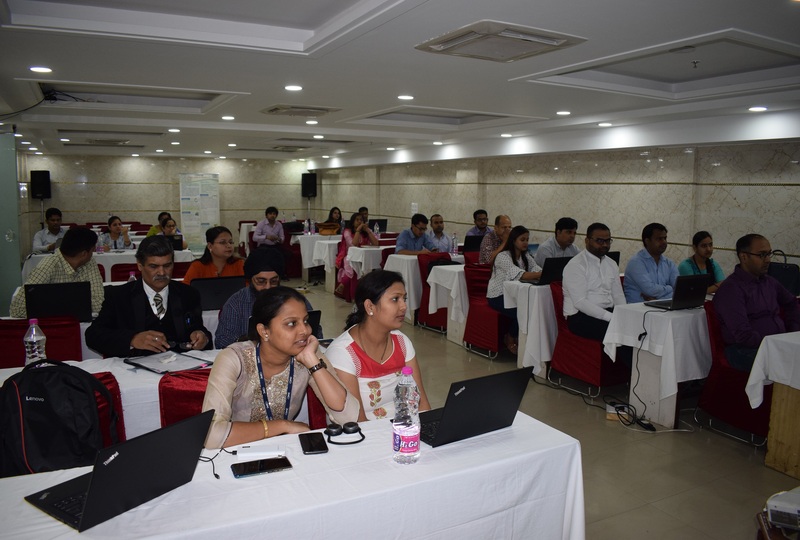 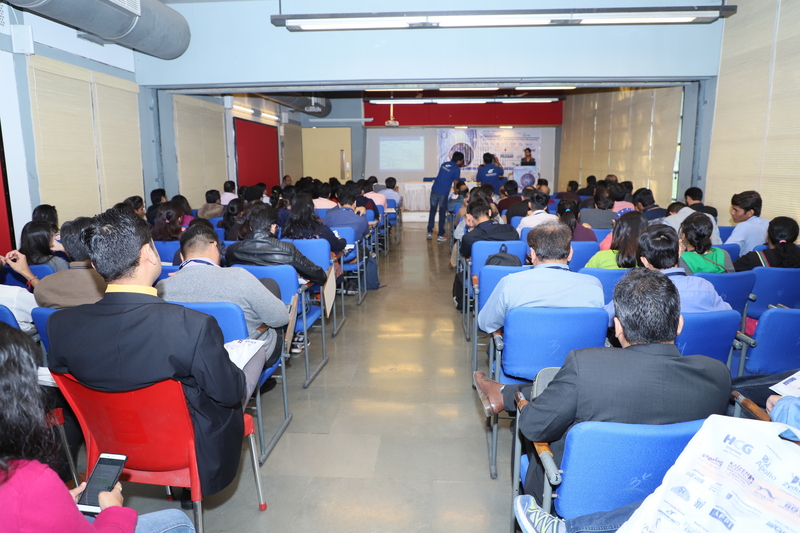 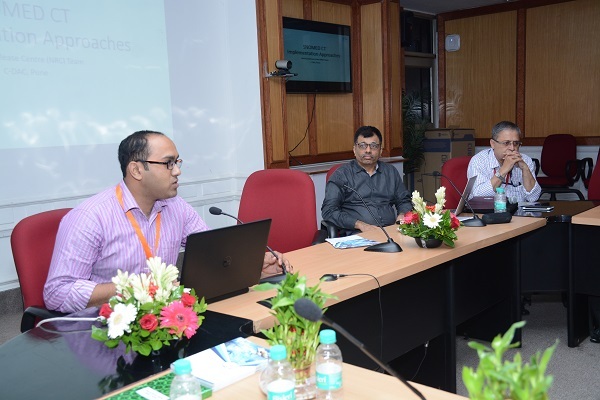 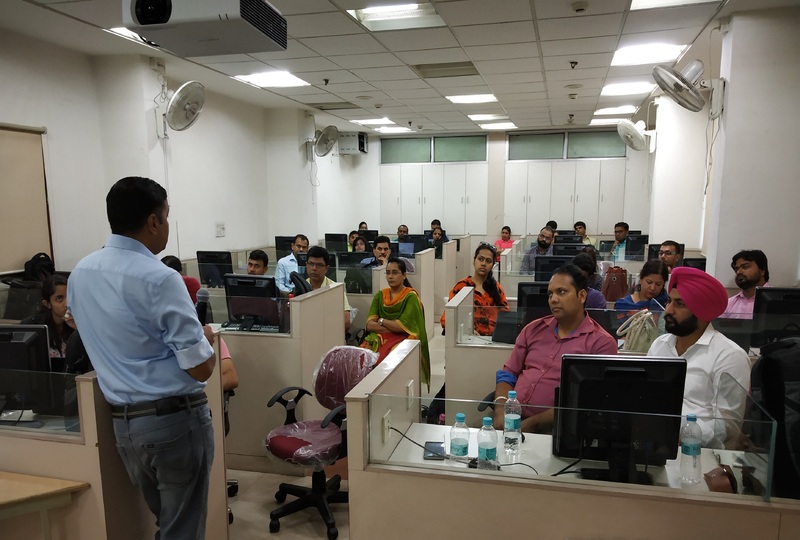 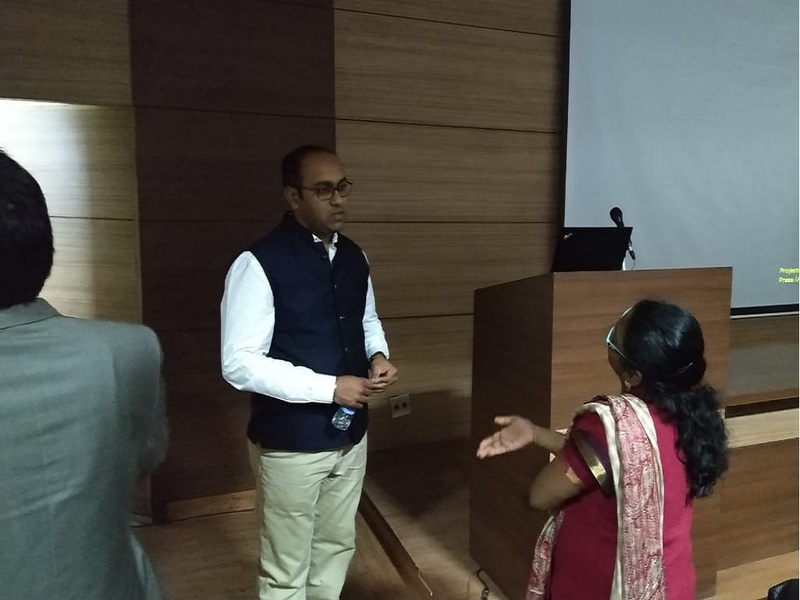 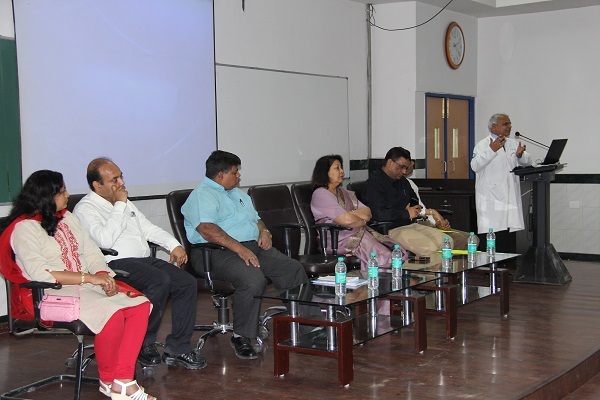 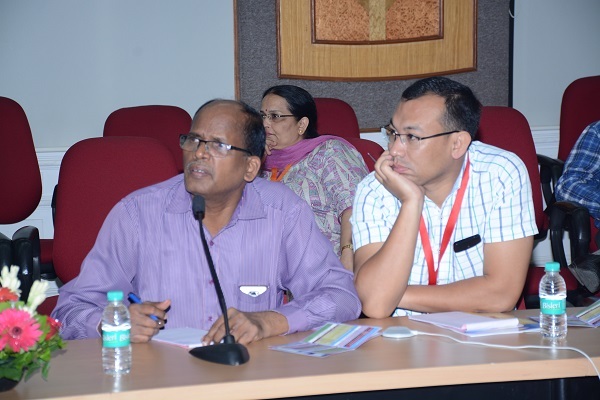 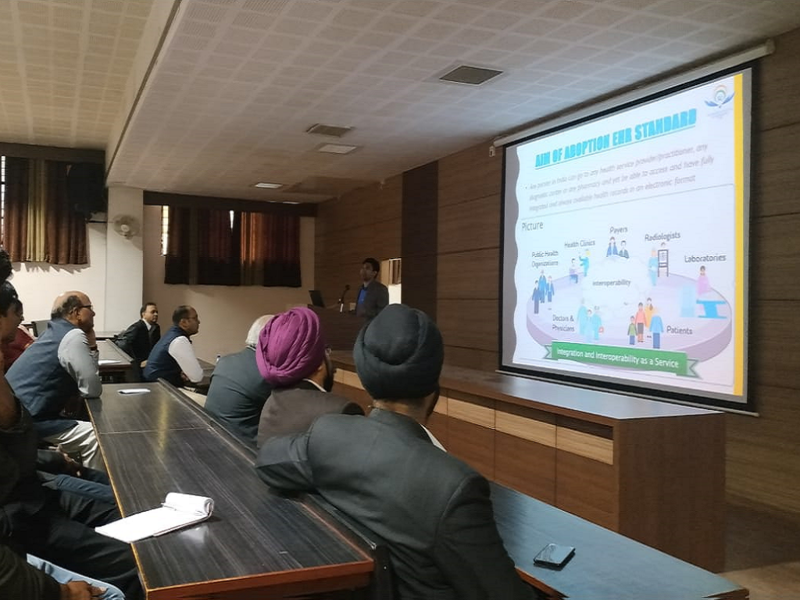 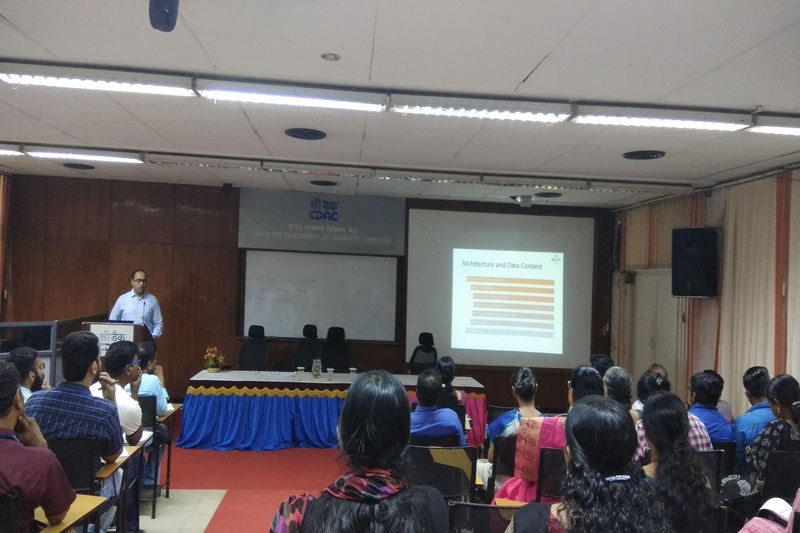 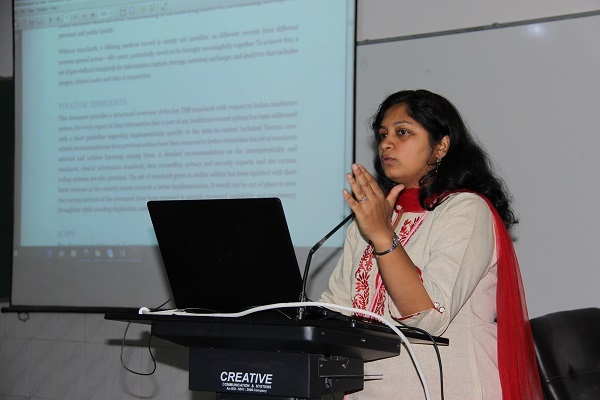 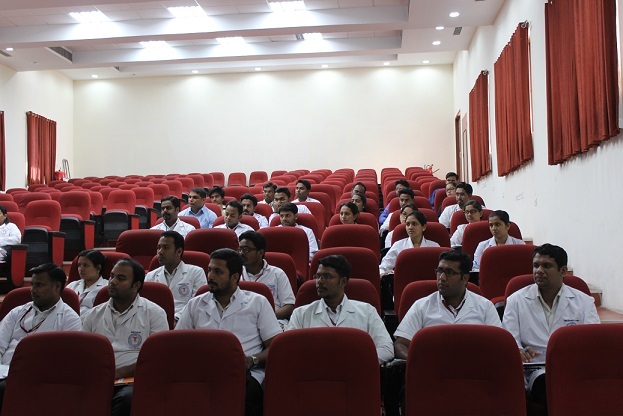 Half day Workshop on Introduction to EHR Standards was conducted at AIIMS Bhopal. 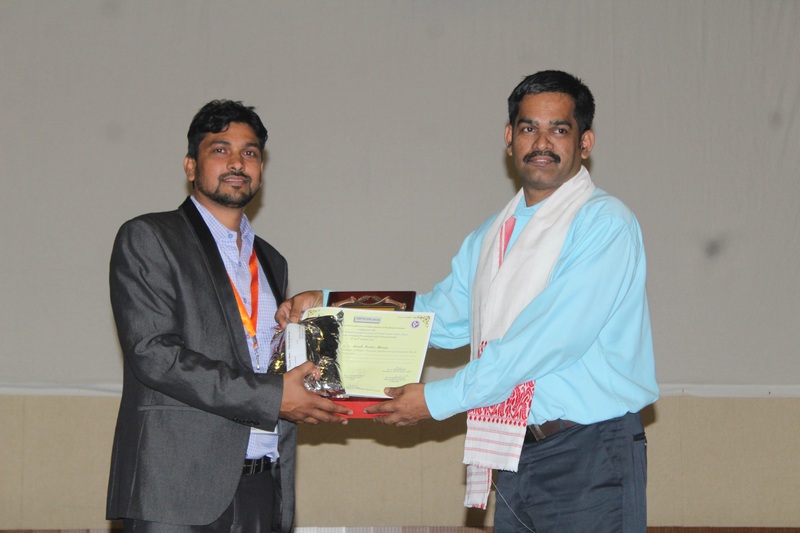 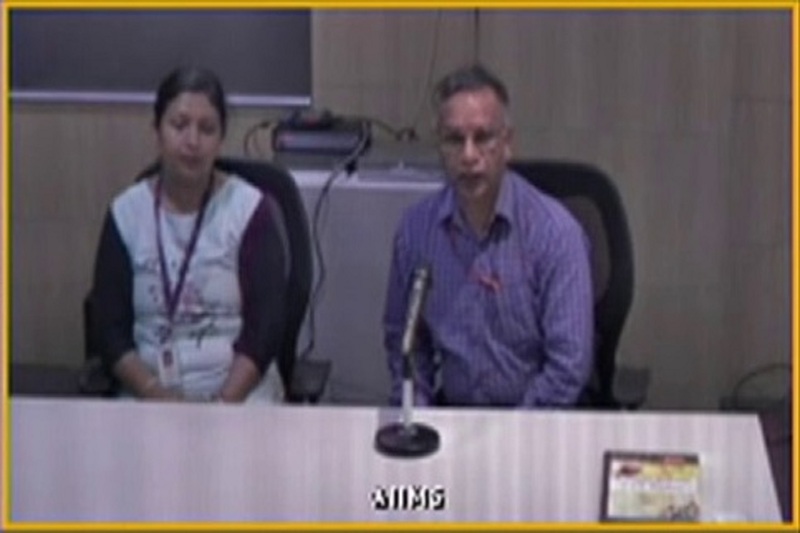 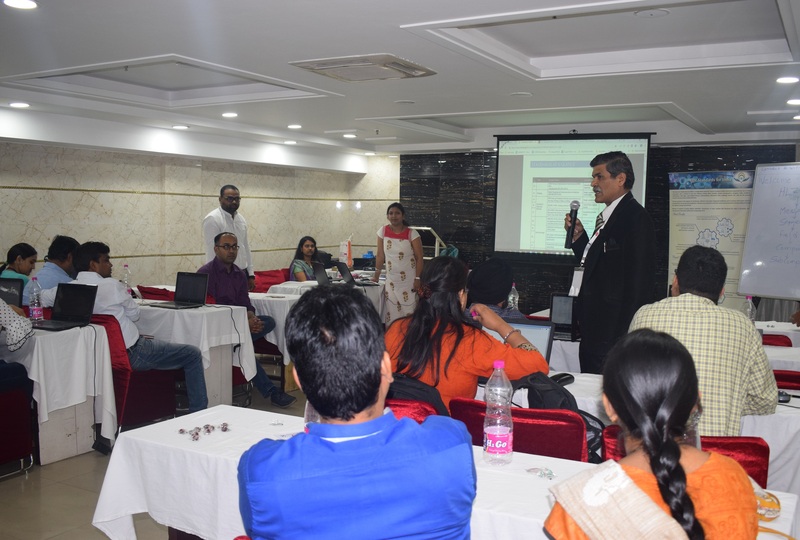 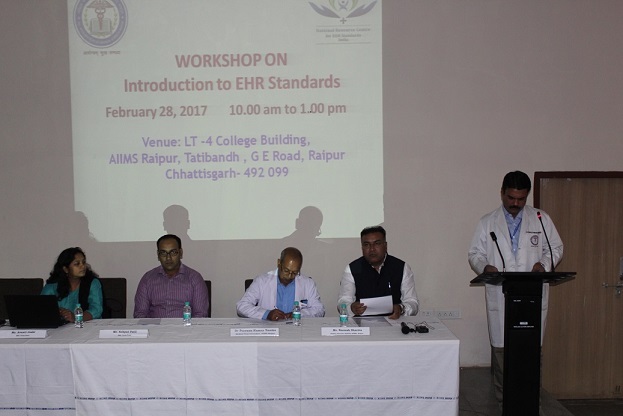 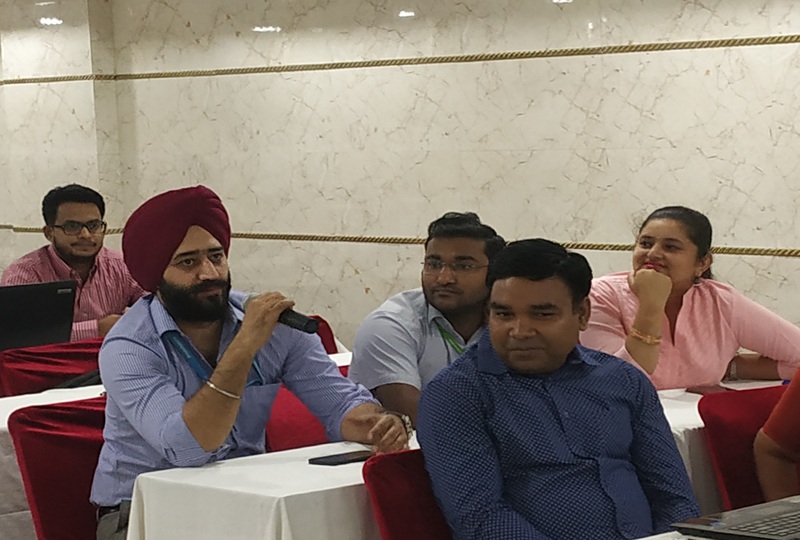 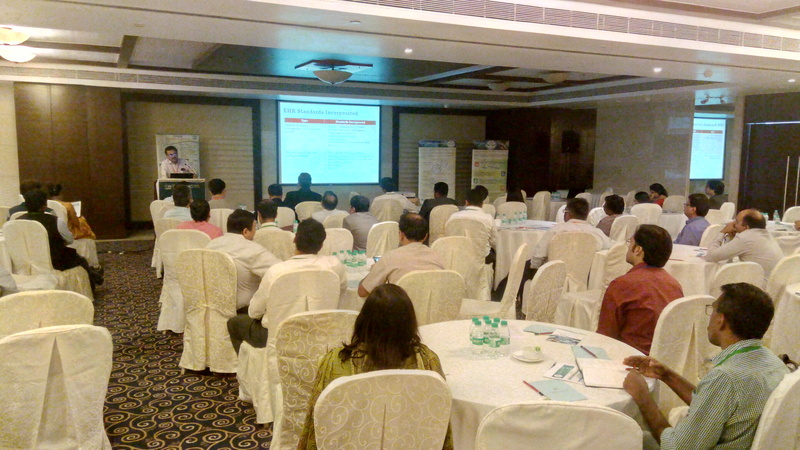 Half day Workshop on Introduction to EHR Standards was conducted at AIIMS Raipur.